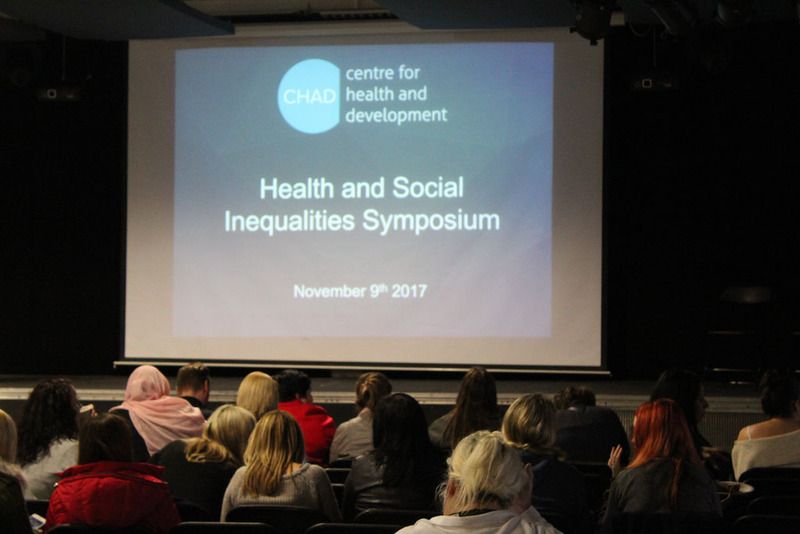 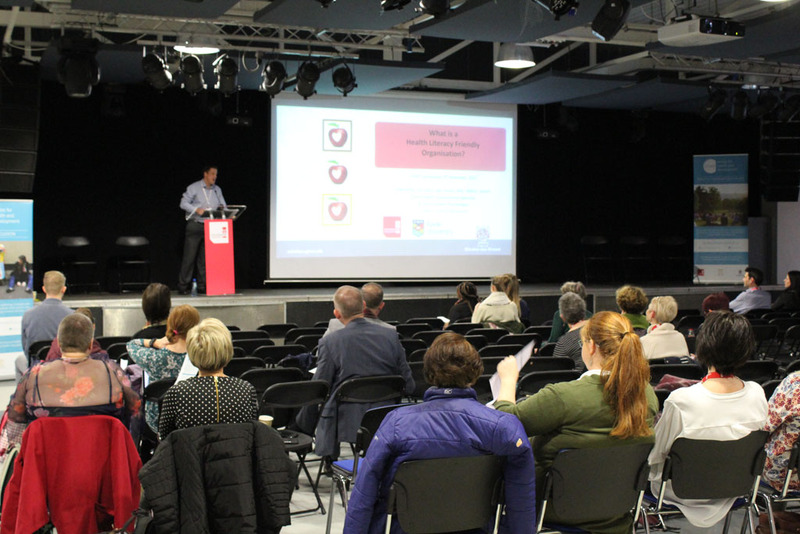 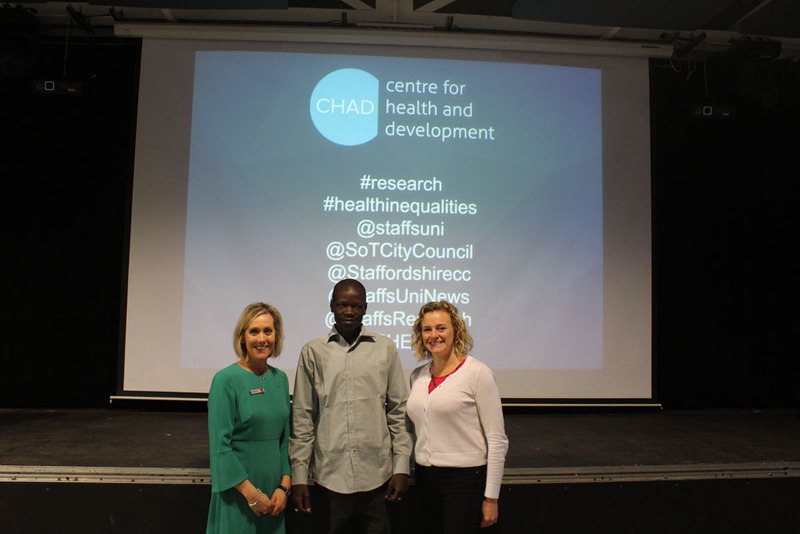 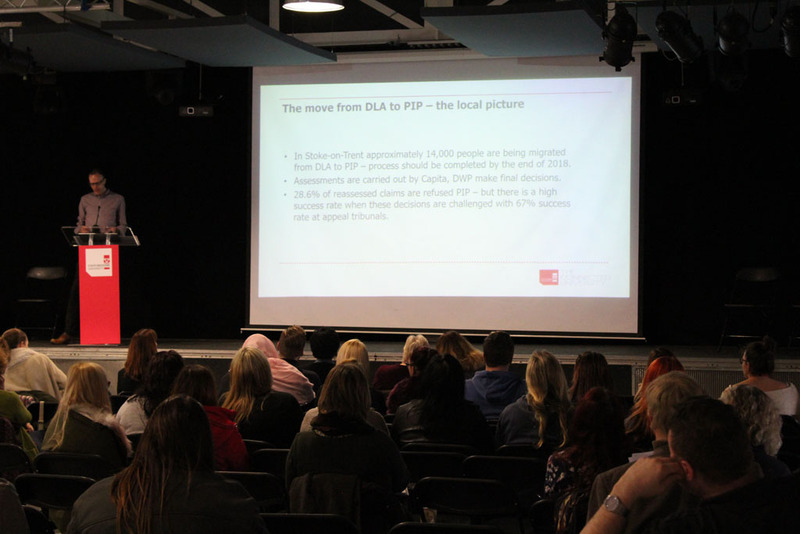 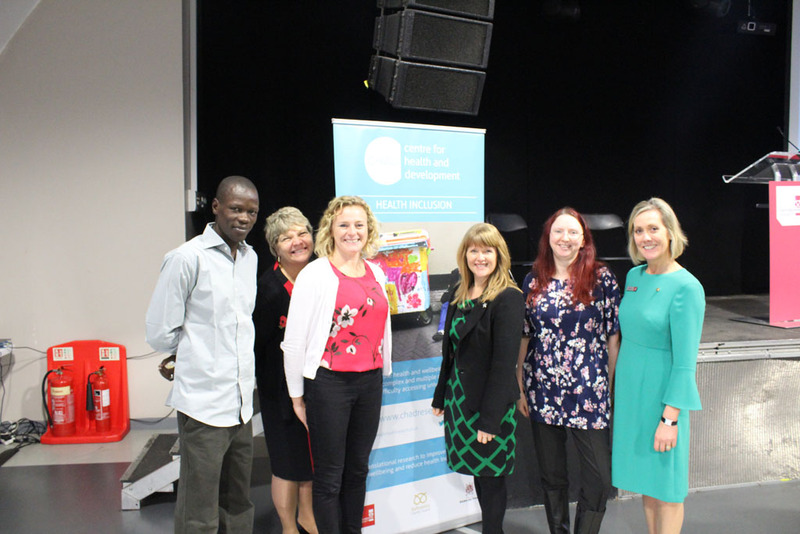 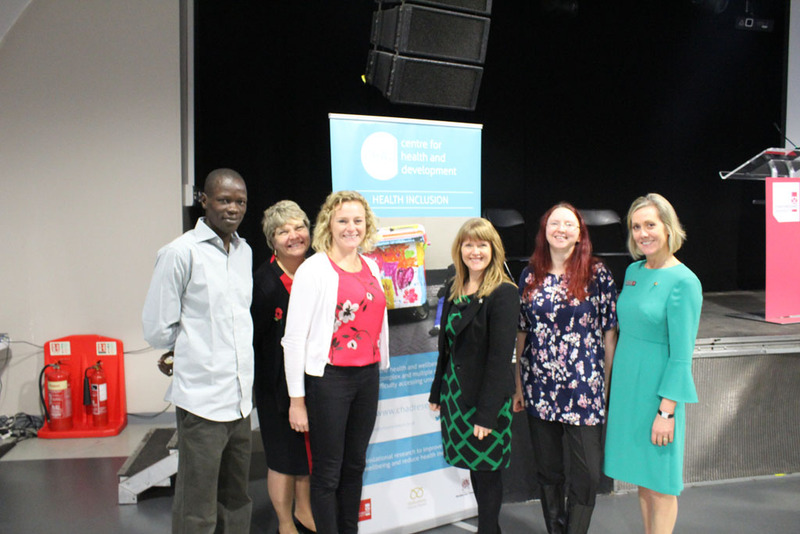 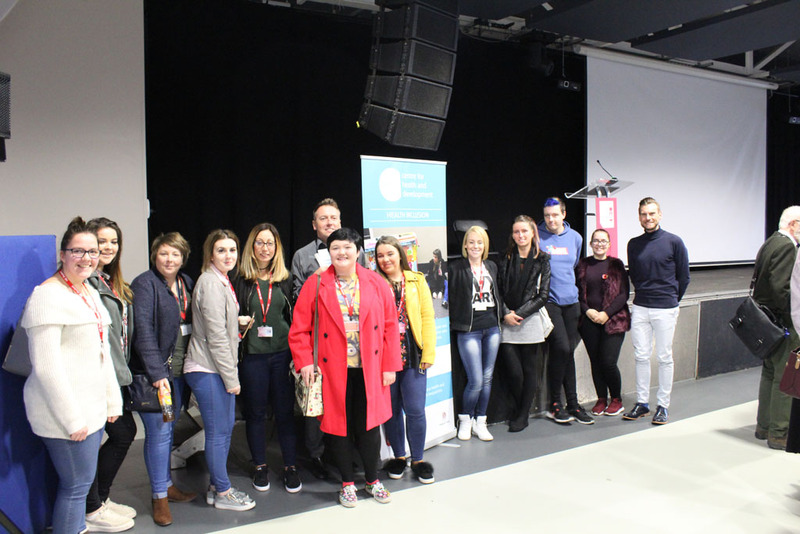 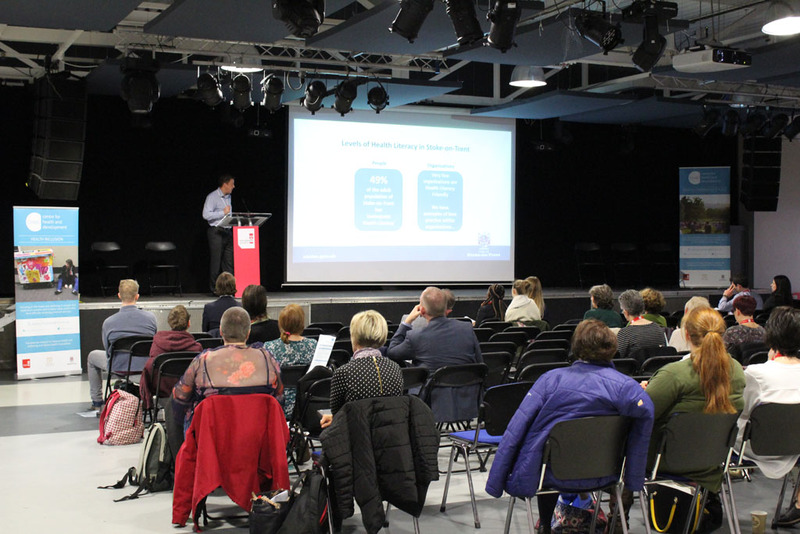 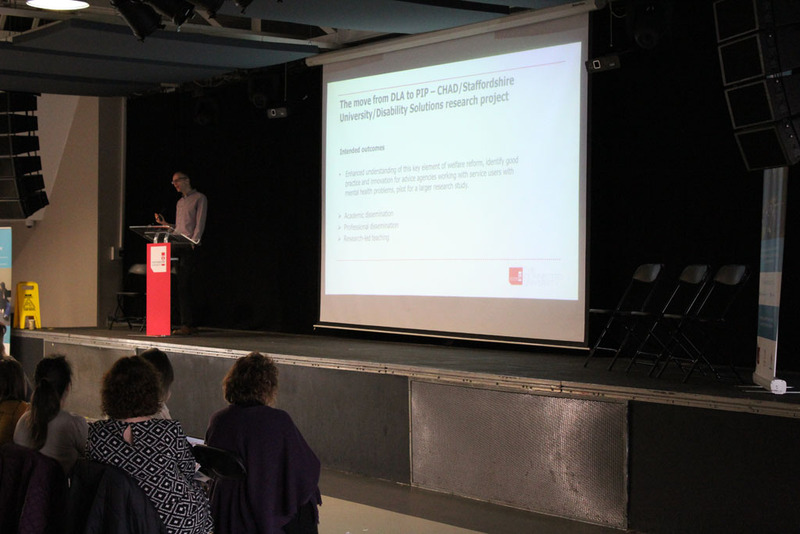 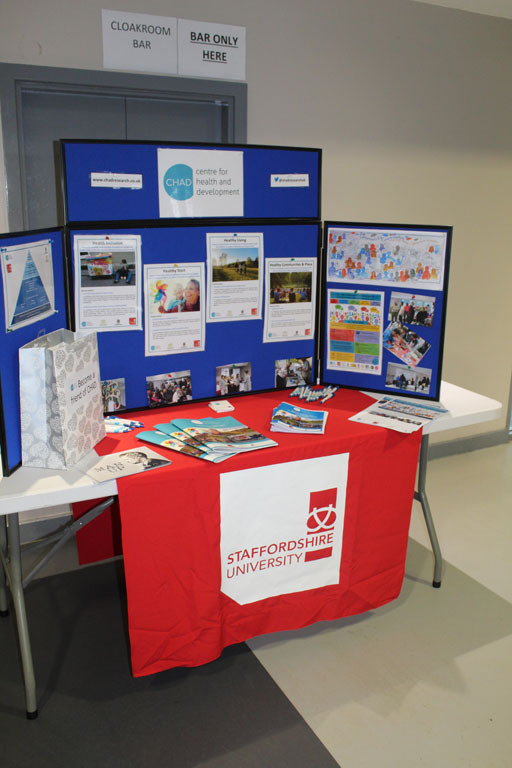 The CHAD Health and Social Inequalities Symposium and Guest Lecture took place at Staffordshire University Leek Road Campus on Thursday 9th November 2017. 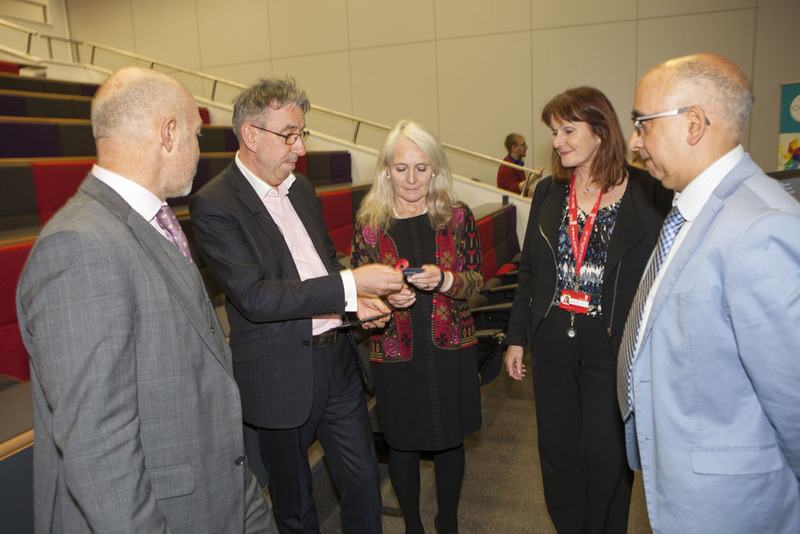 It was a resounding success, with over 150 delegates attending the Symposium and more than 60 people attending the Duncan Selbie Lecture. 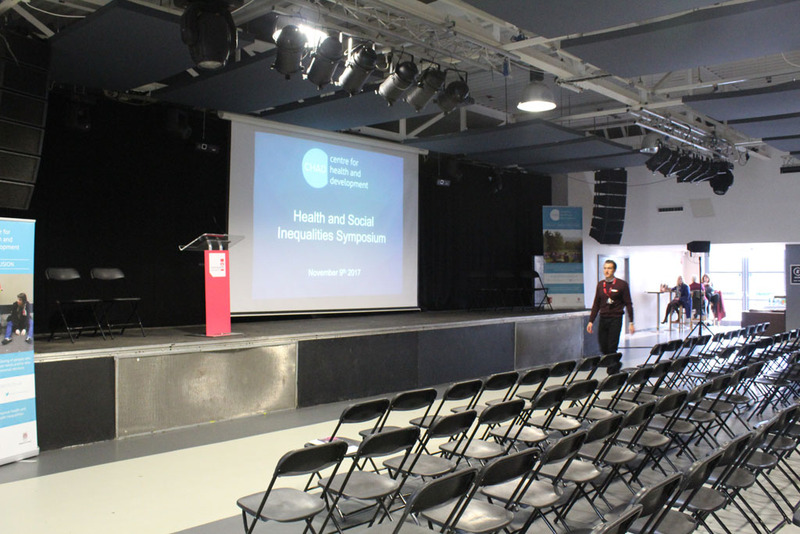 The purpose of the symposium was to showcase translational research on health and social inequalities from a range of academic disciplines across the University and our wider region engaging participants from academia, higher and further education, health and social care, and the community and voluntary sector. 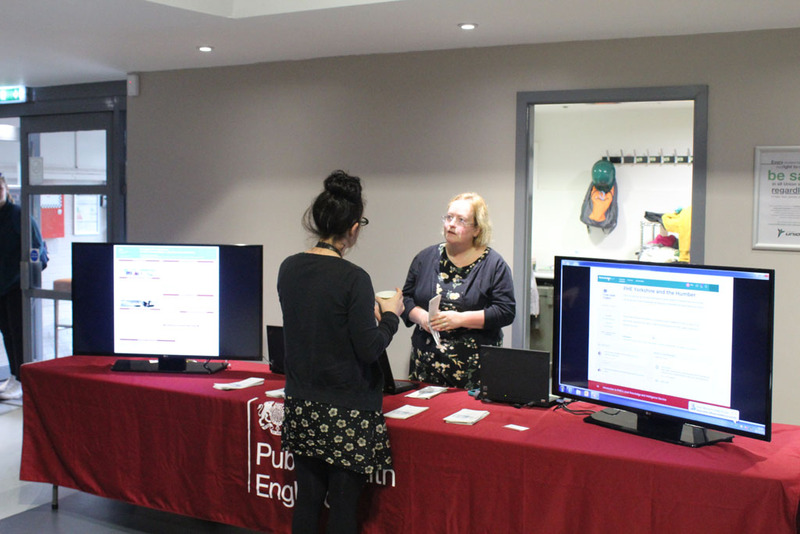 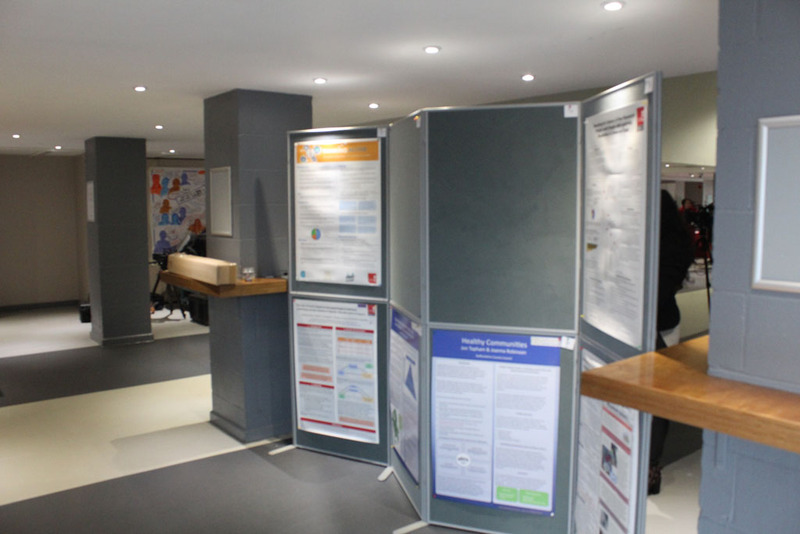 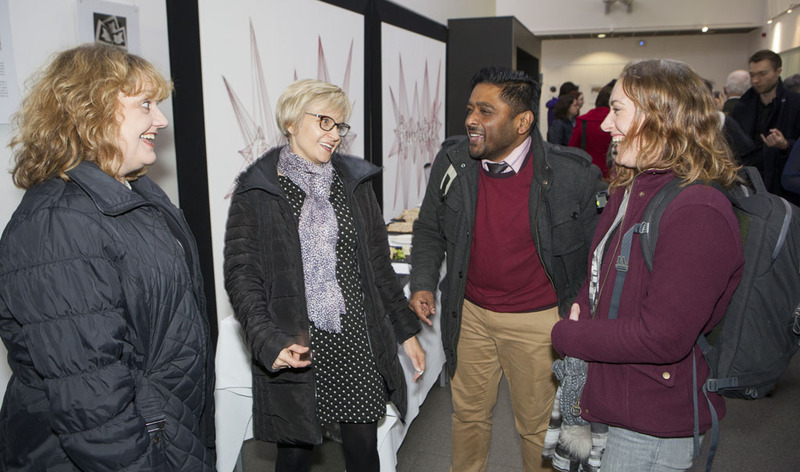 Our aim was to share oral and poster presentations to stimulate learning and discussion about existing research whilst inspiring ideas and commitment for new research in the future. 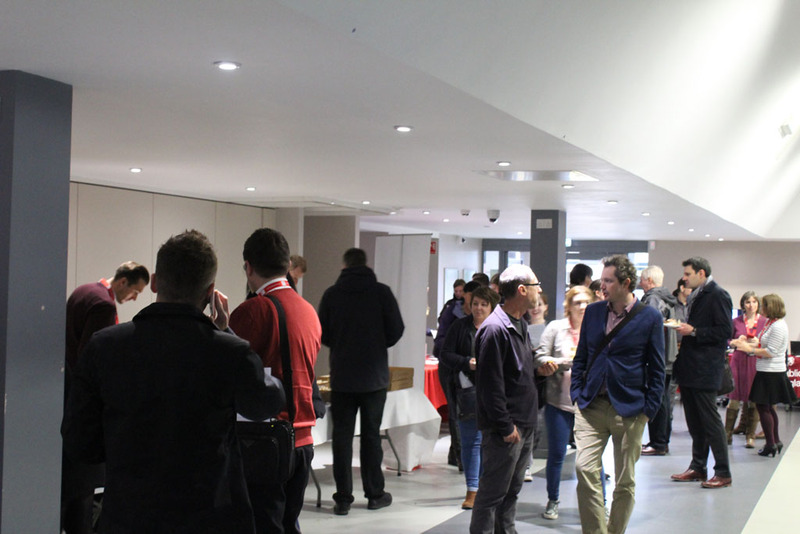 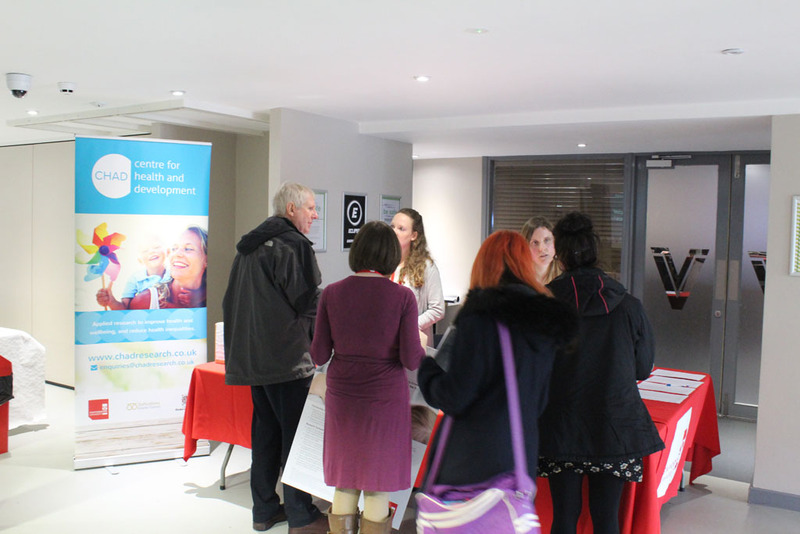 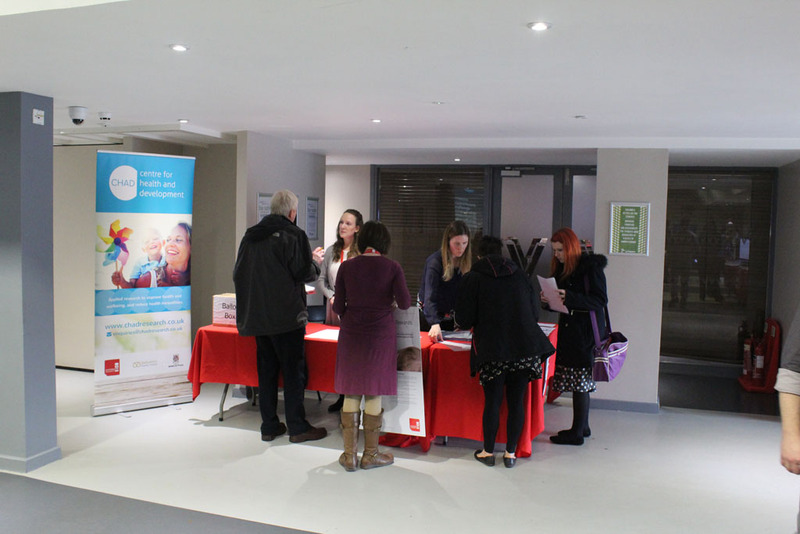 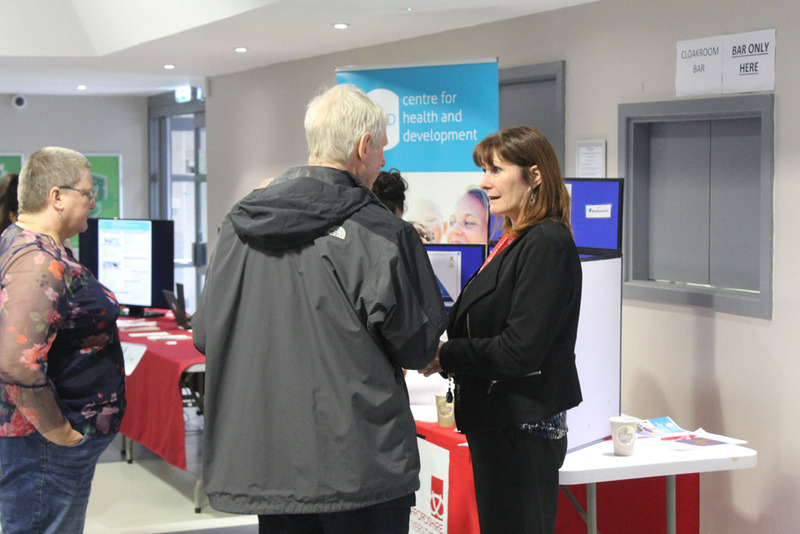 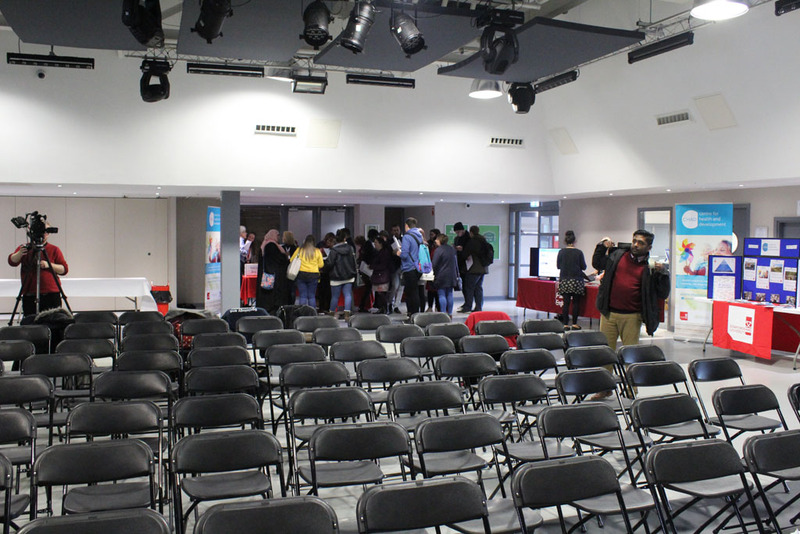 Registration took place in the LRV, which was also home to our ‘Big Community Conversation‘ event which took place earlier in the year. 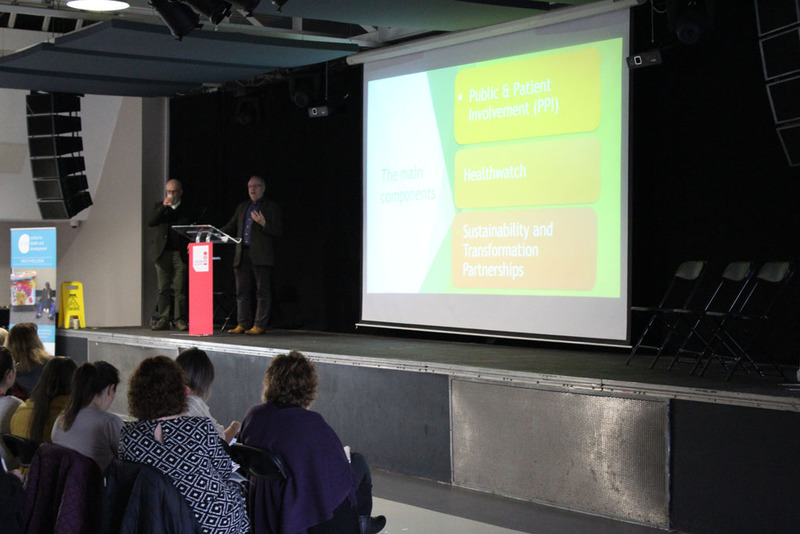 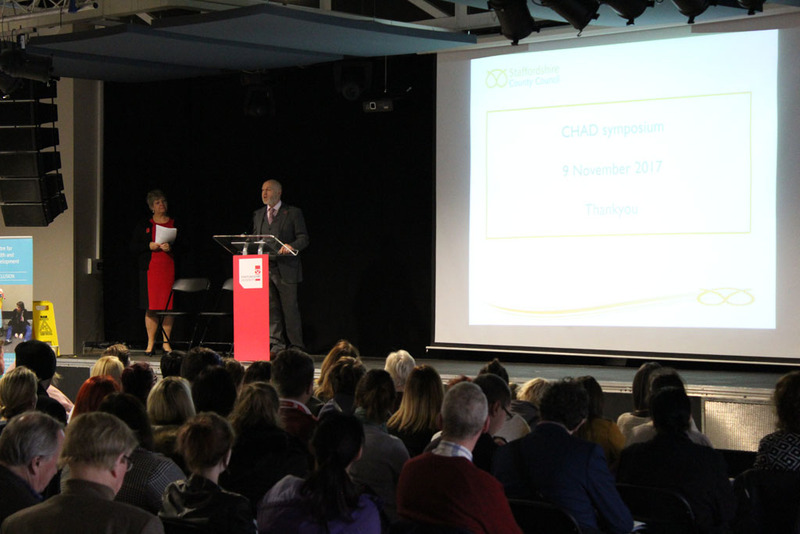 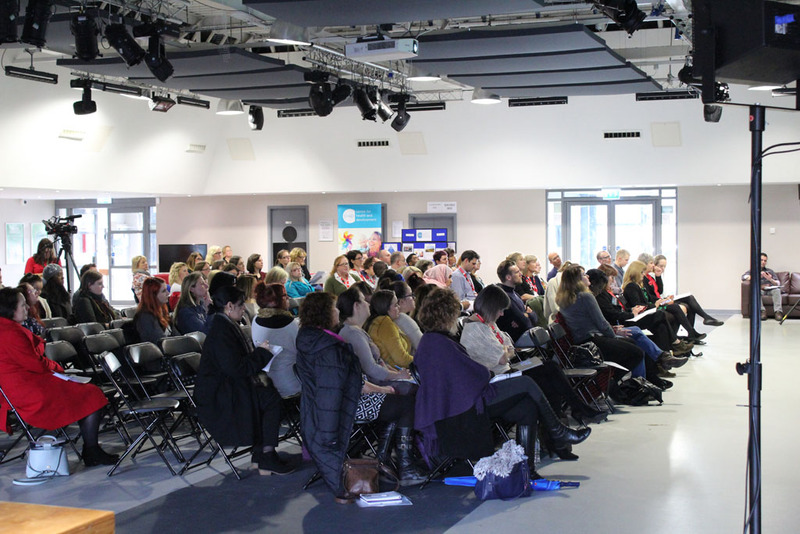 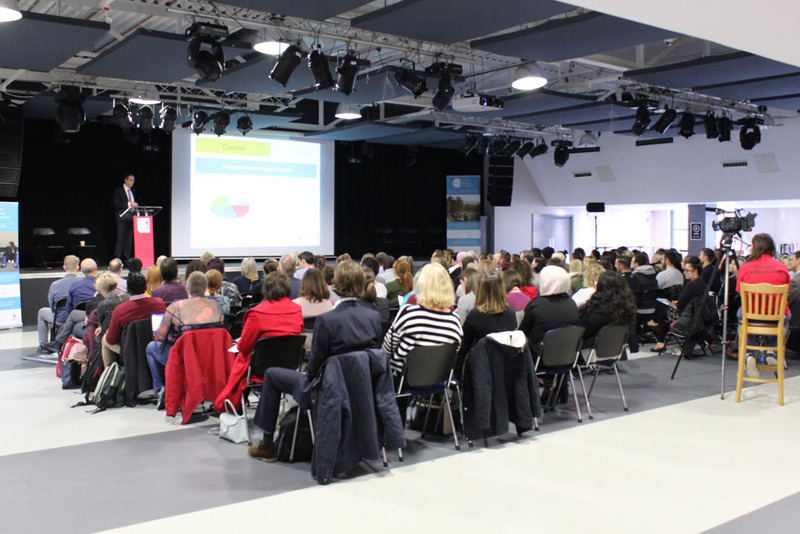 The programme for the day included a warm welcome from Nigel Thomas, Dean for the School of Life Sciences and Education, and a key note speech from Dr Richard Harling, Director of Health and Social Care for Staffordshire County Council, who set the context for the event. 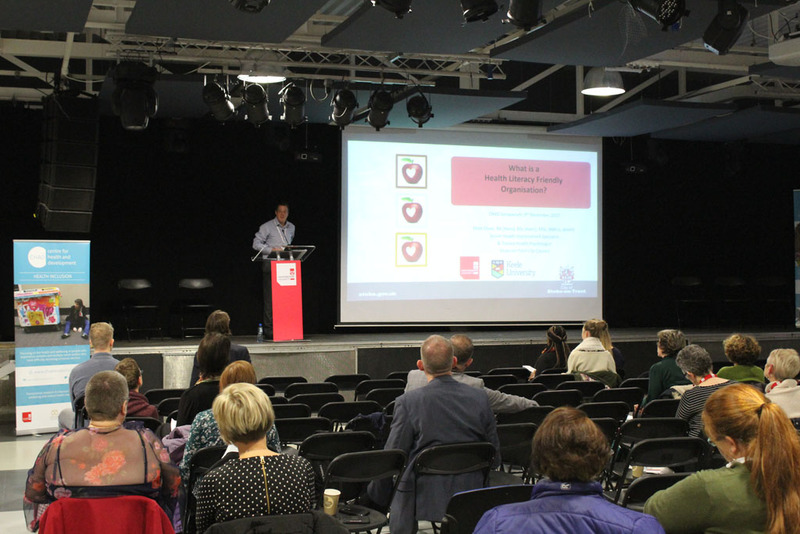 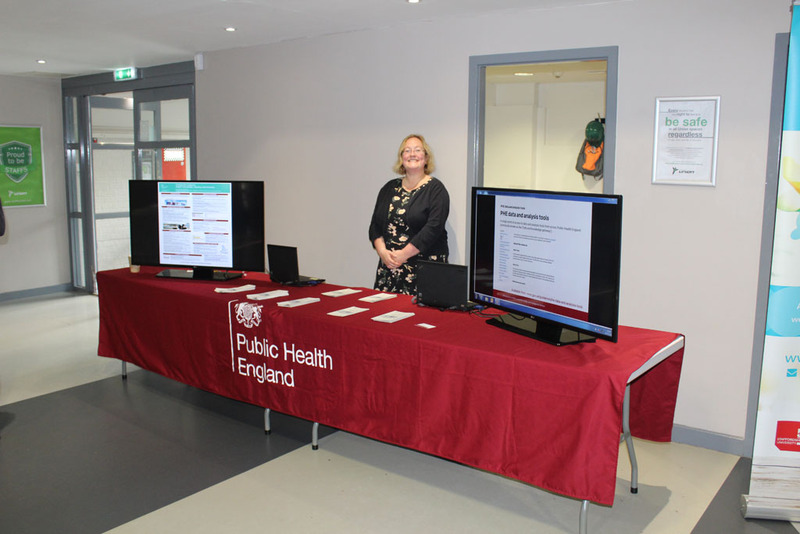 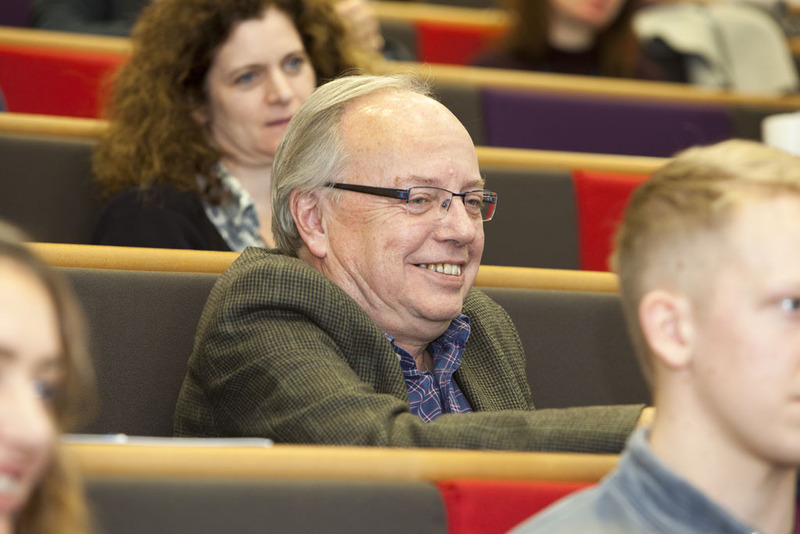 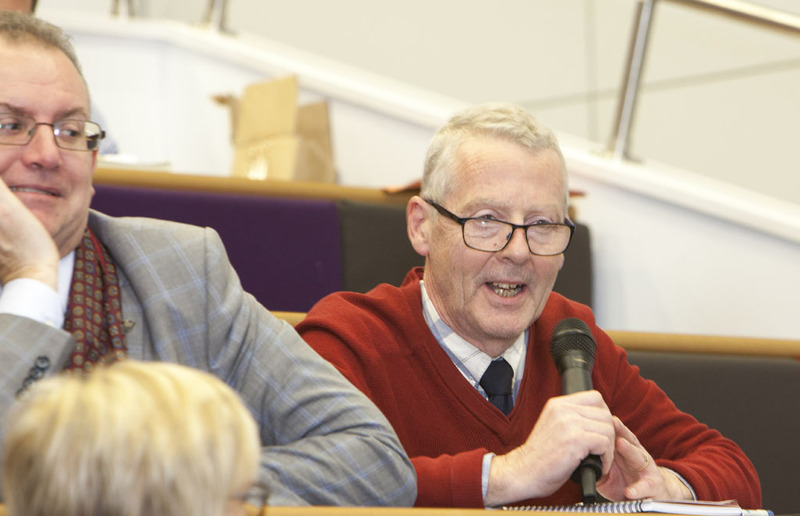 Richard spoke about the ‘Changing Model of Public Health in Local Government’ which gave an interesting insight into the changing world of public health and the role of research in supporting public health commissioning and practise (view/download presentation slides here). 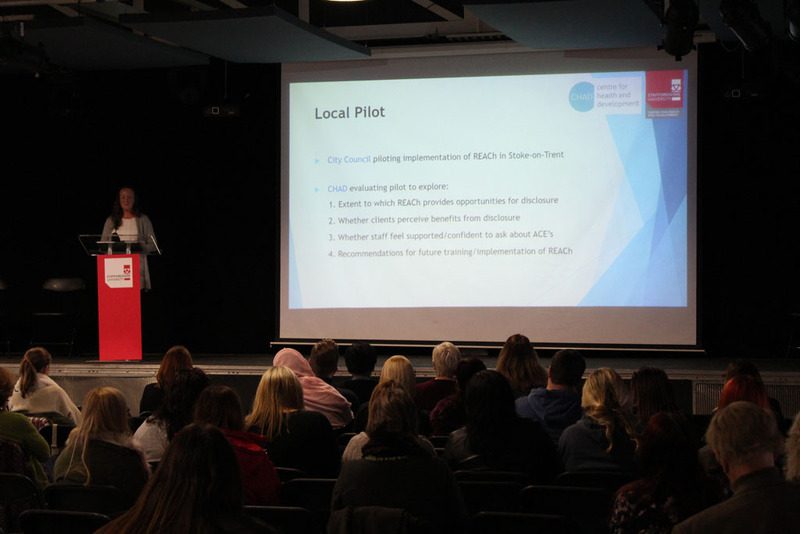 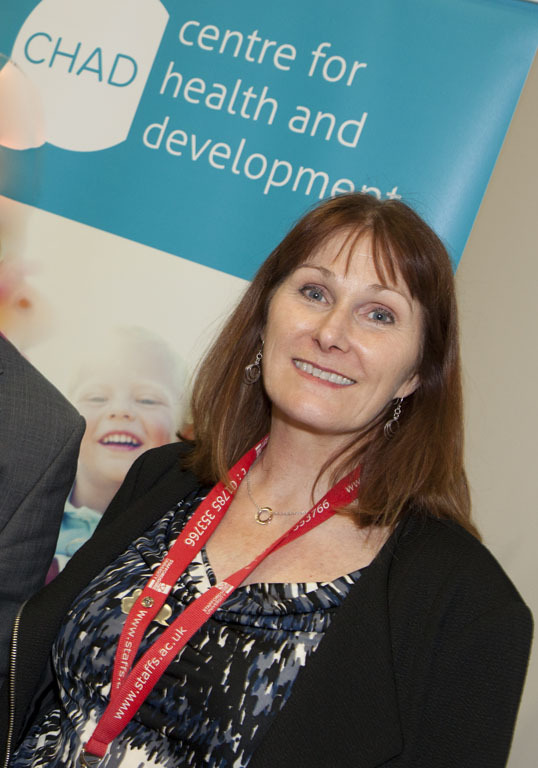 Dr Ann Ewens, Dean for the School of Health and Social Care then facilitated the rest of the day and kept proceedings on track. 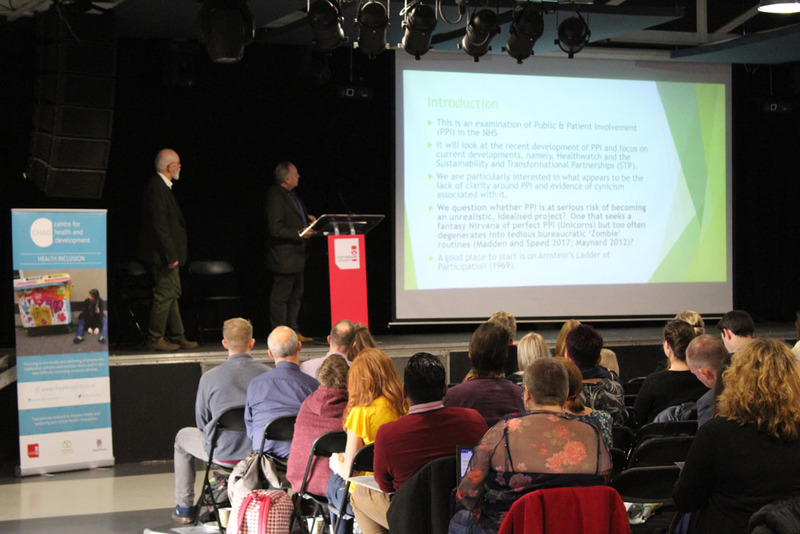 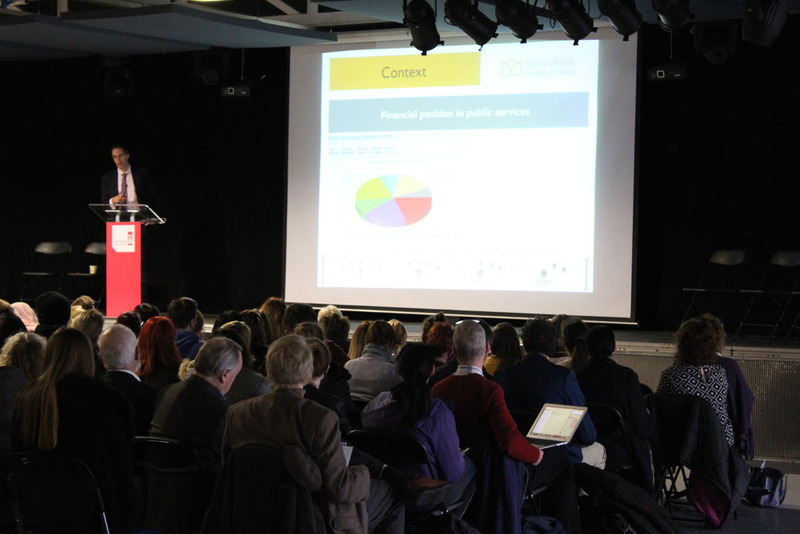 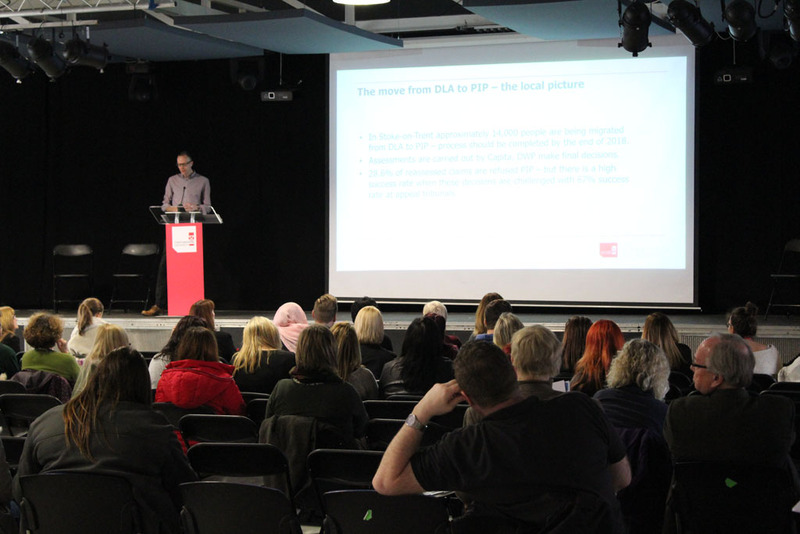 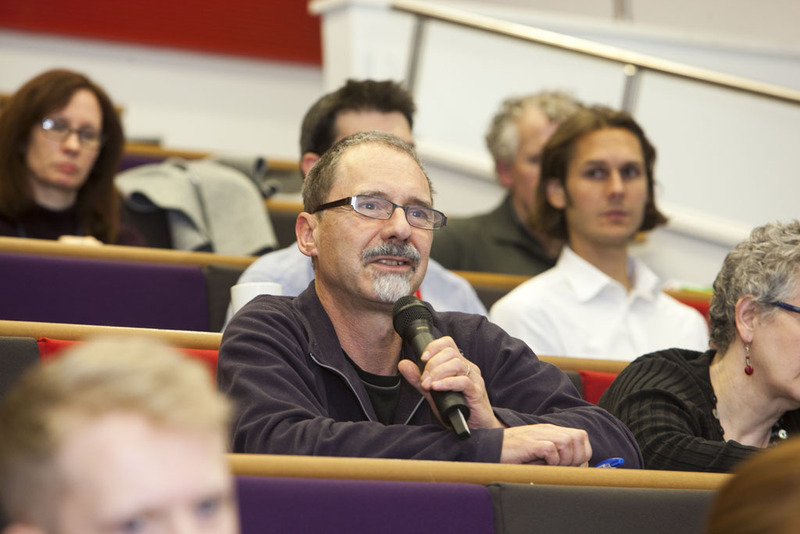 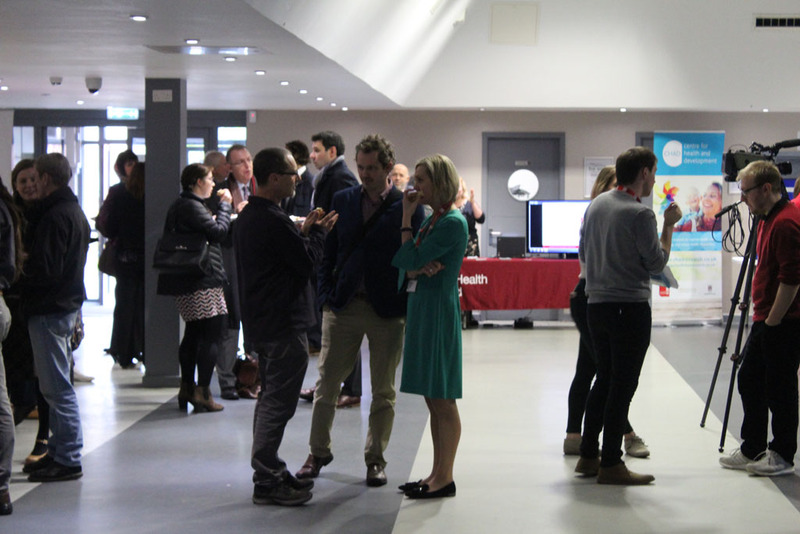 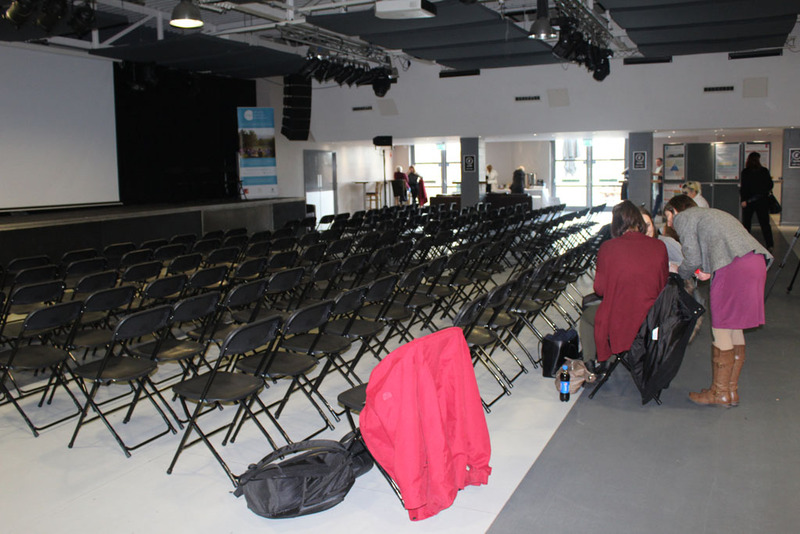 To accommodate presentations across our four research themes, parallel sessions took place in the LRV and the Law School. 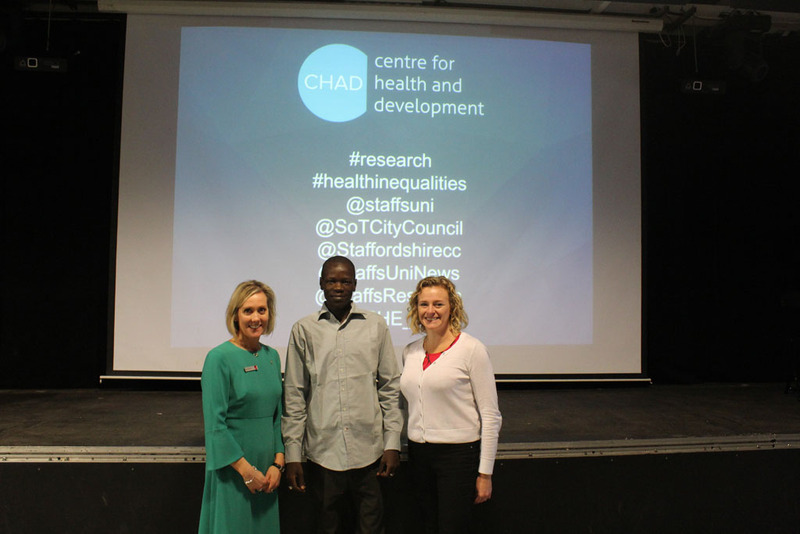 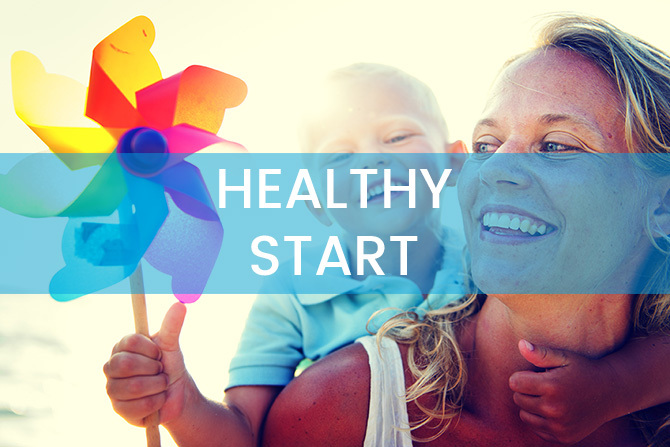 We had 16 oral presentations and 14 Poster presentations which we organised under the CHAD themes of Healthy Start, Health Inclusion, Healthy Living, and Healthy Communities and Place. 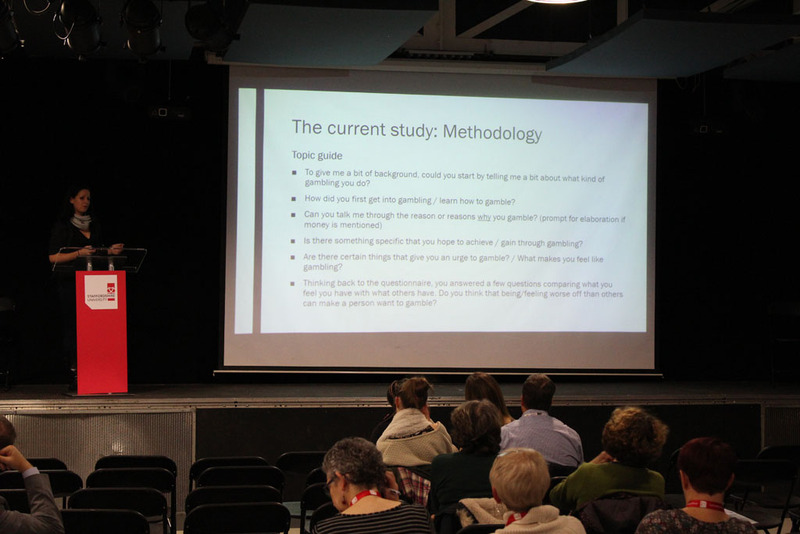 There were four oral presentations in each theme area and participants were able to attend two out of the four of the themed sessions. 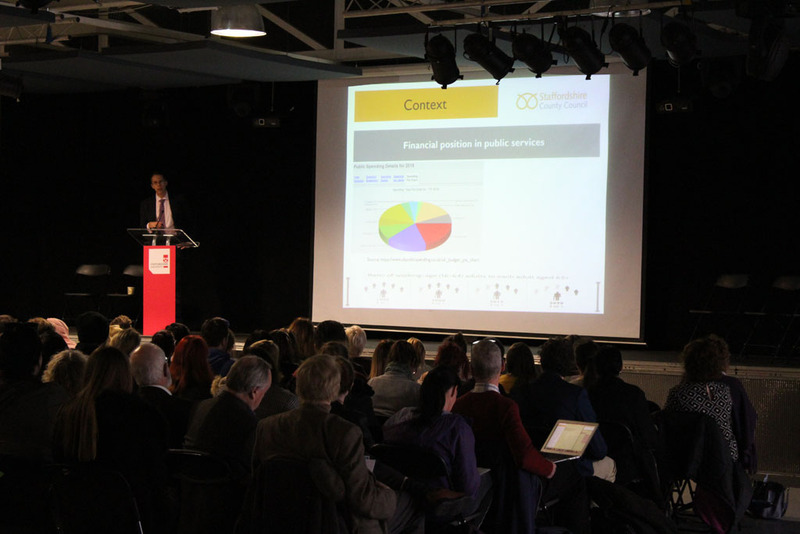 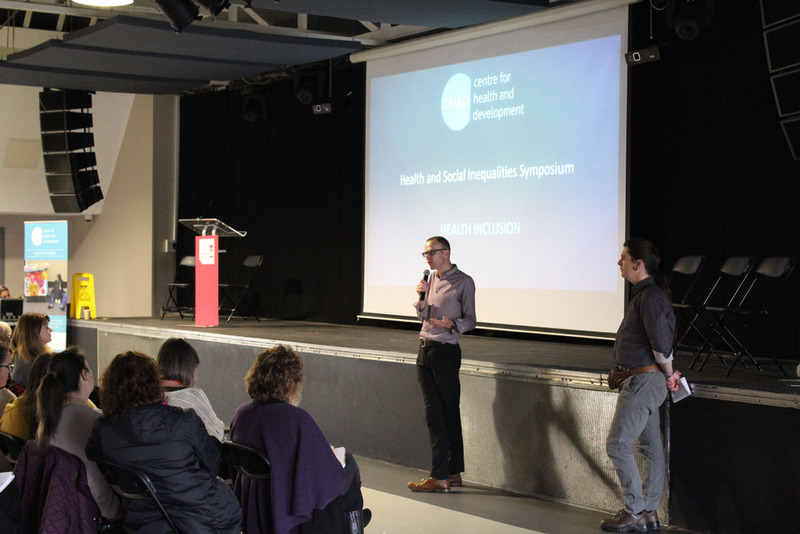 The quality of the presentations and the wide mix of participants who had a shared interest in this agenda resulted in a stimulating, connected and vibrant day. 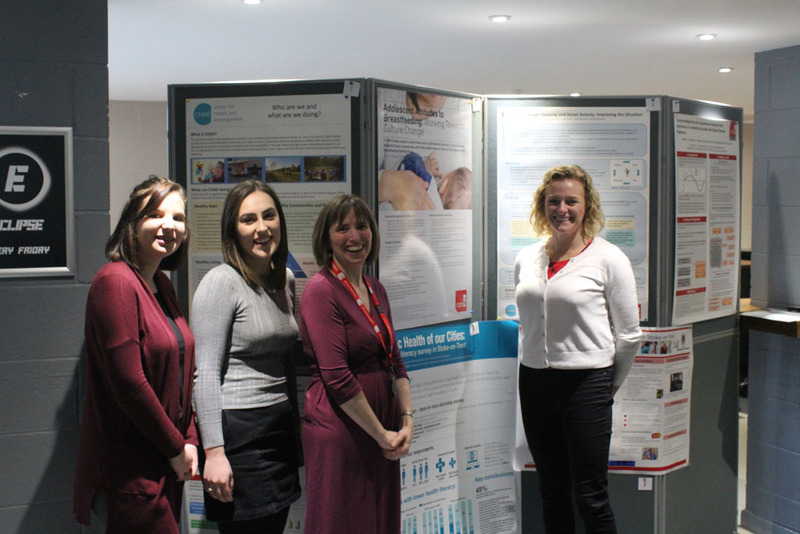 Delegates also voted for the best poster presentation and we are delighted to announce that the winning poster was ‘Reaching for Culture’. 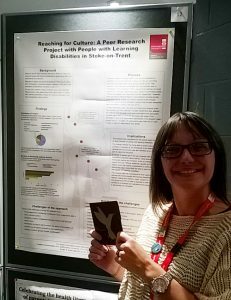 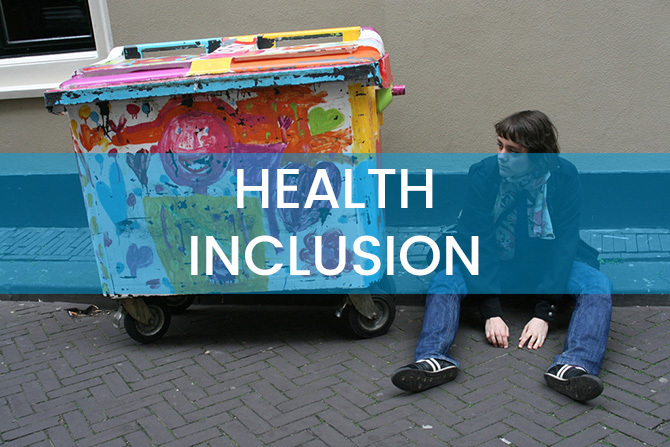 This poster was co-produced and presented by 2 of the 10 ‘peer researchers’ from Reach, an advocacy service for people with learning disabilities, who consulted people with learning disabilities across the City of Stoke-on-Trent to identify barriers to accessing culture for potentially disadvantaged groups. 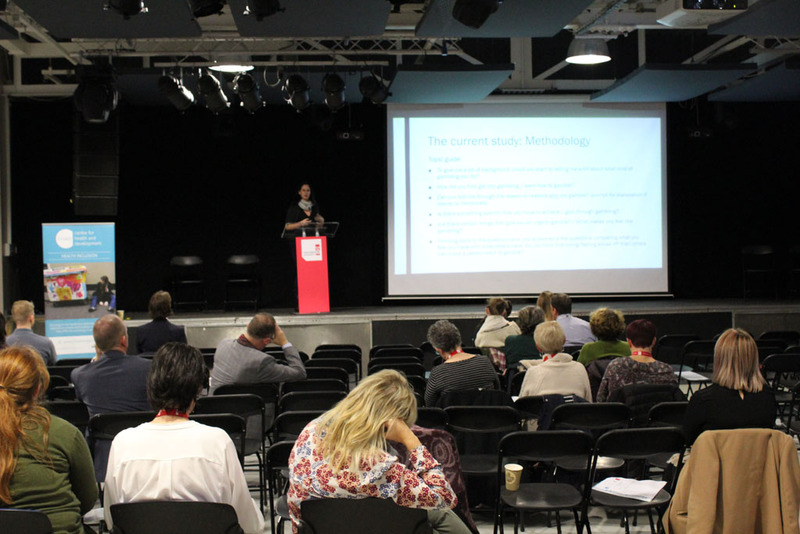 This work formed part of the wider City of Culture community engagement research undertaken by Nic Gratton at Staffordshire University. 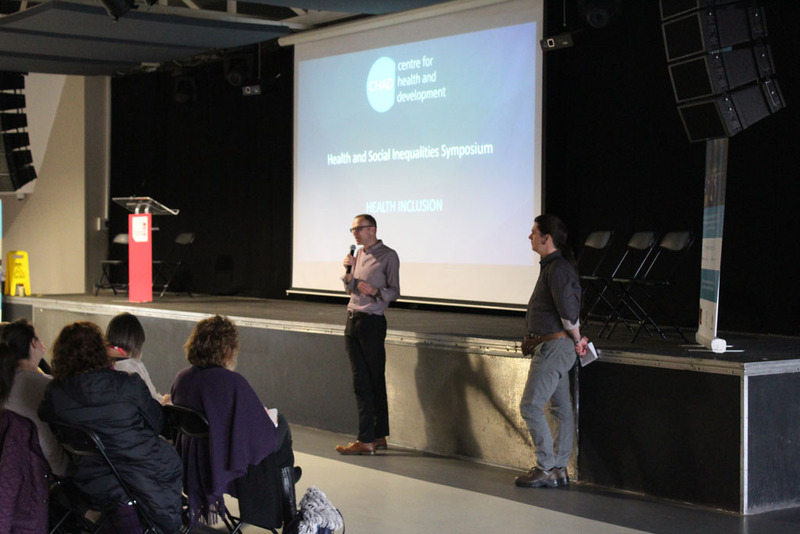 Read/download our report on the symposium here. 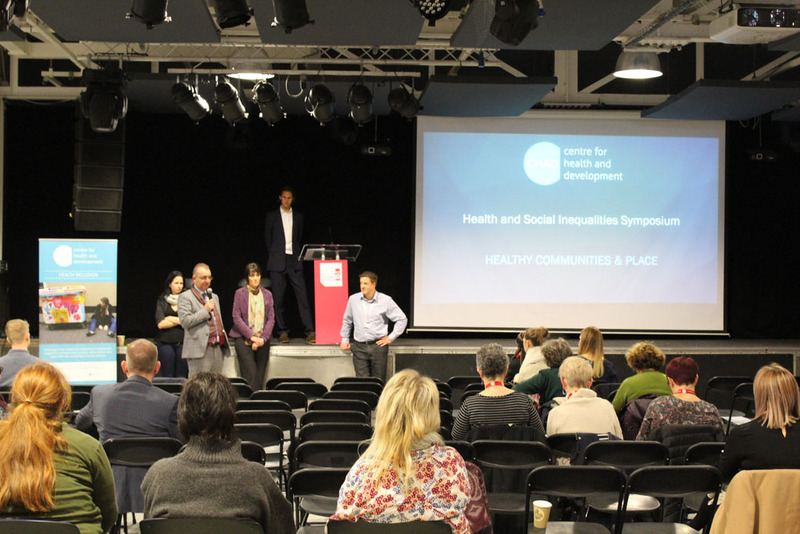 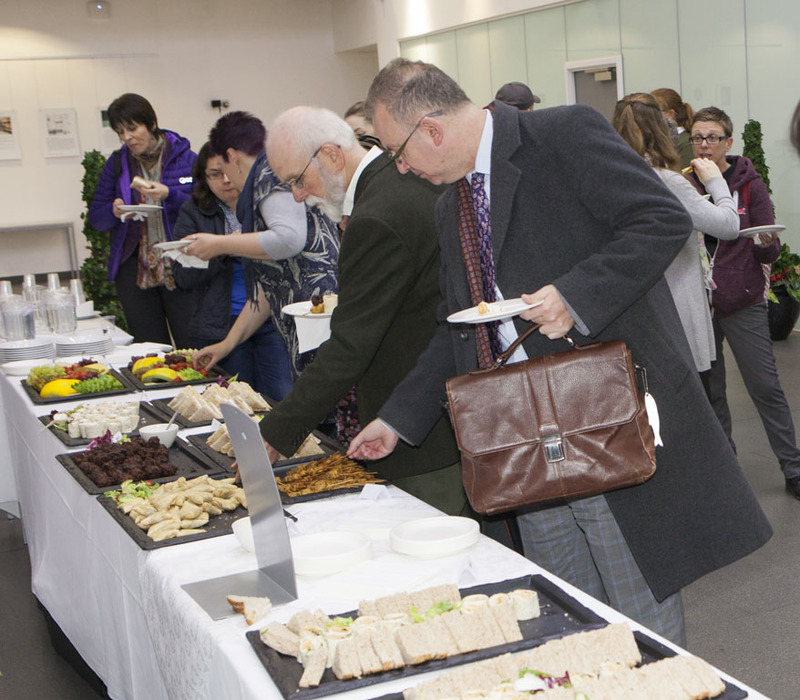 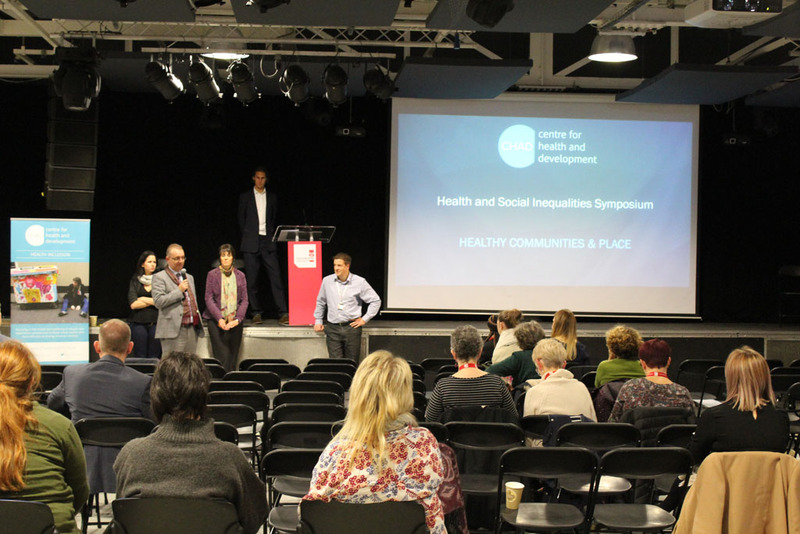 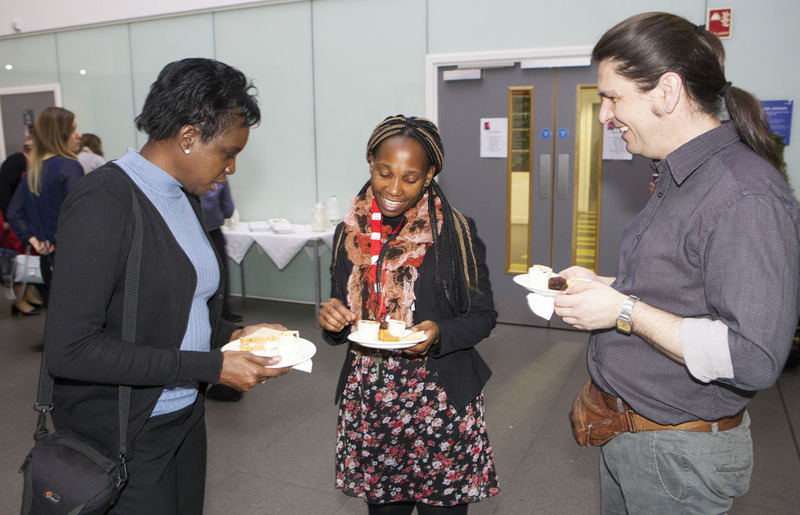 Here are some images from the Health and Social Inequalities Symposium. 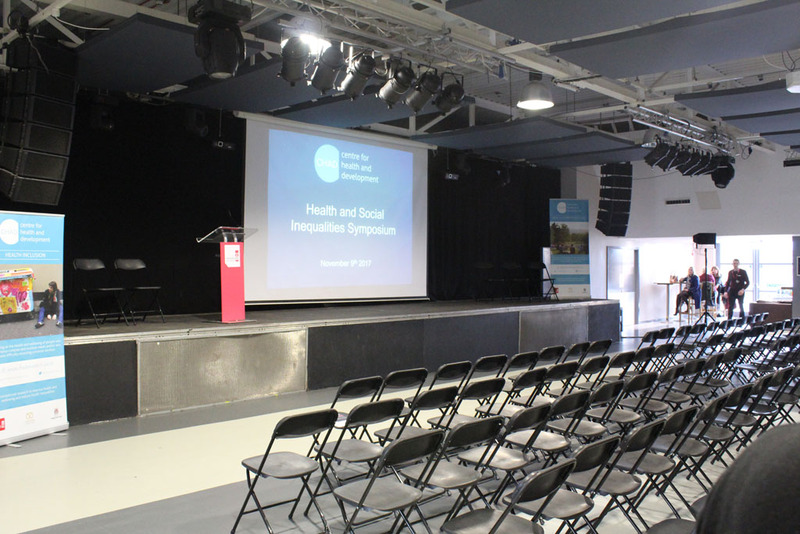 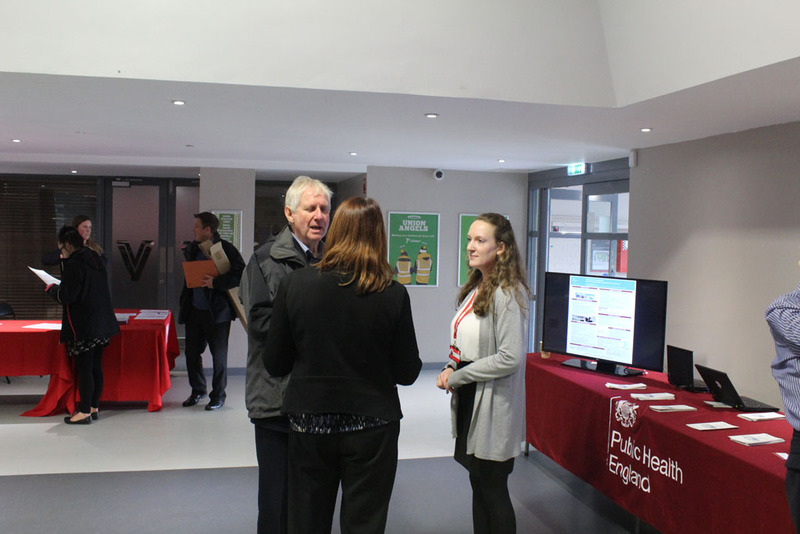 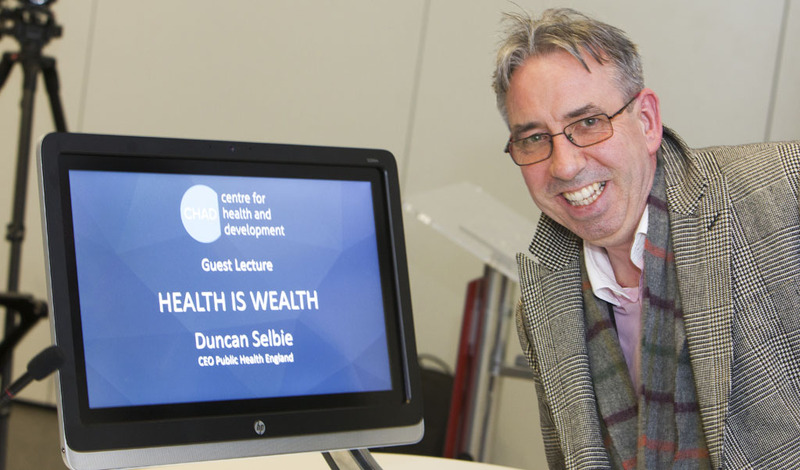 With Symposium successfully completed there was little more than hour to prepare for the arrival of our guest speaker, Duncan Selbie the Chief Executive of Public Health England (PHE). 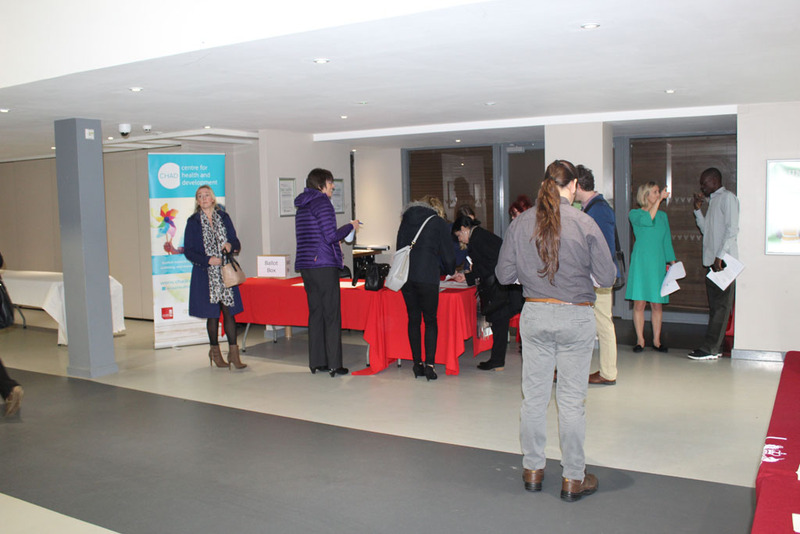 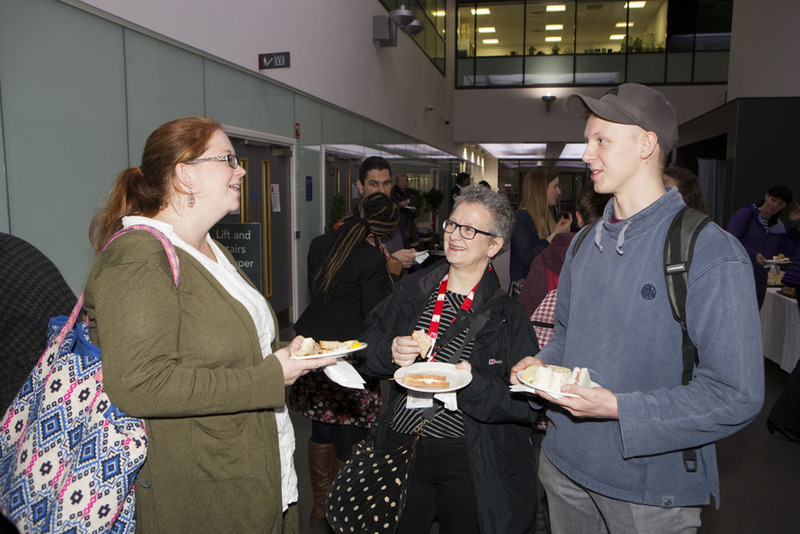 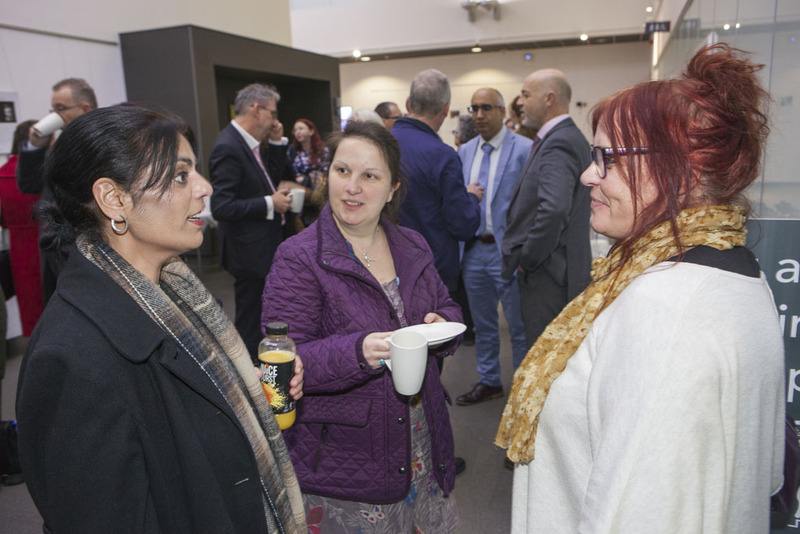 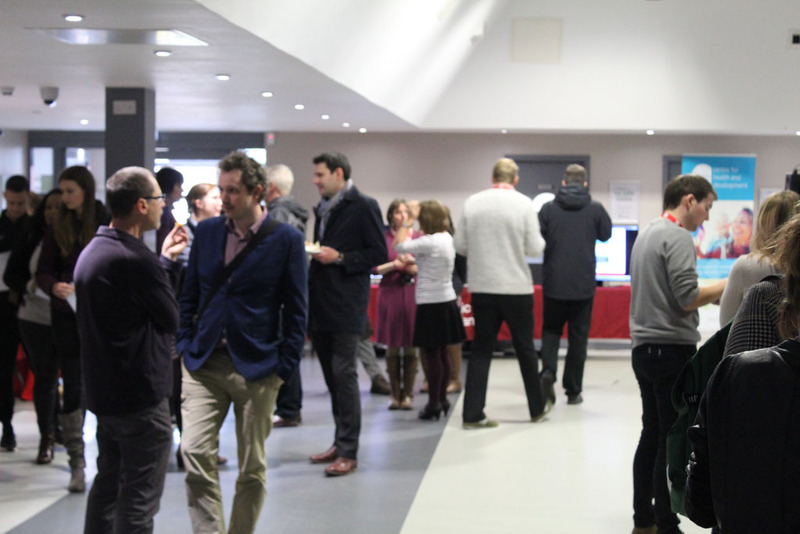 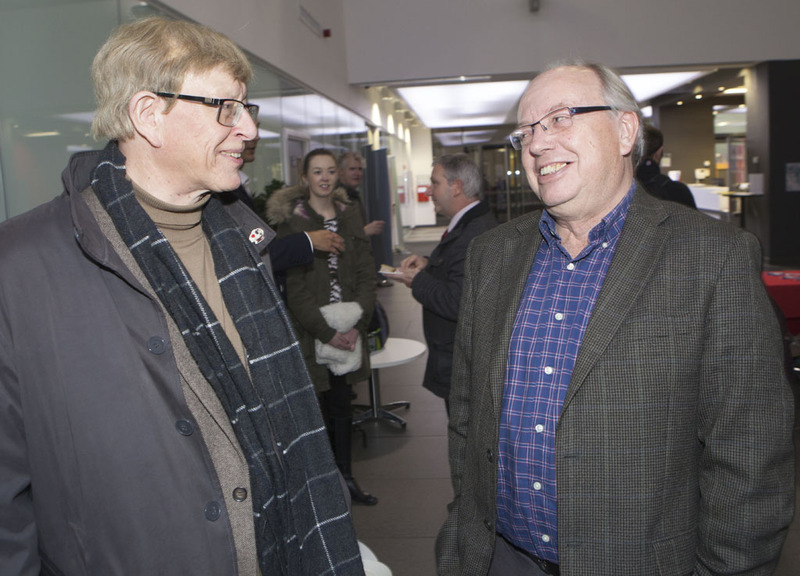 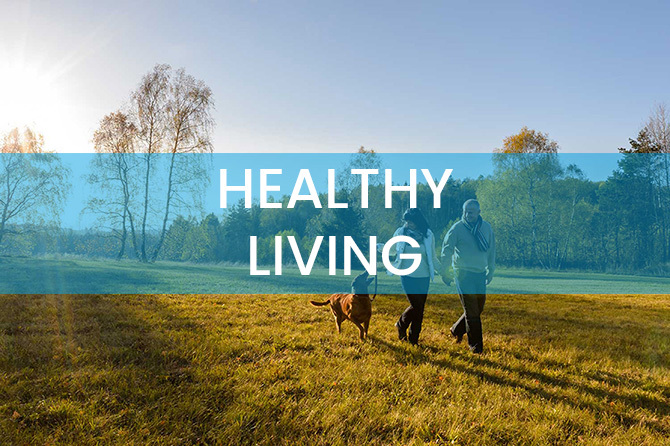 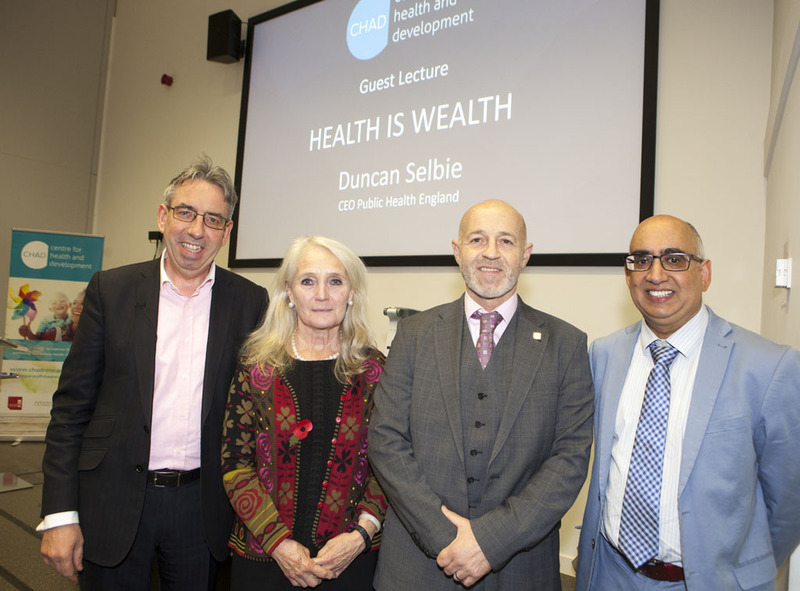 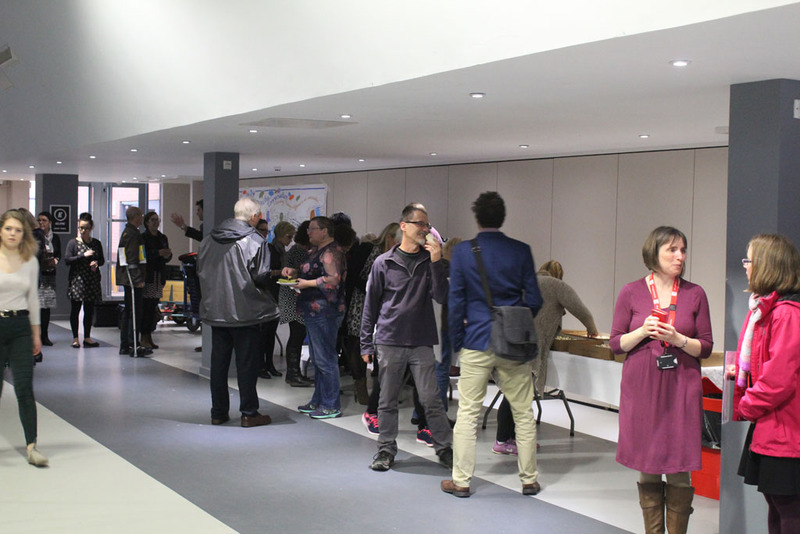 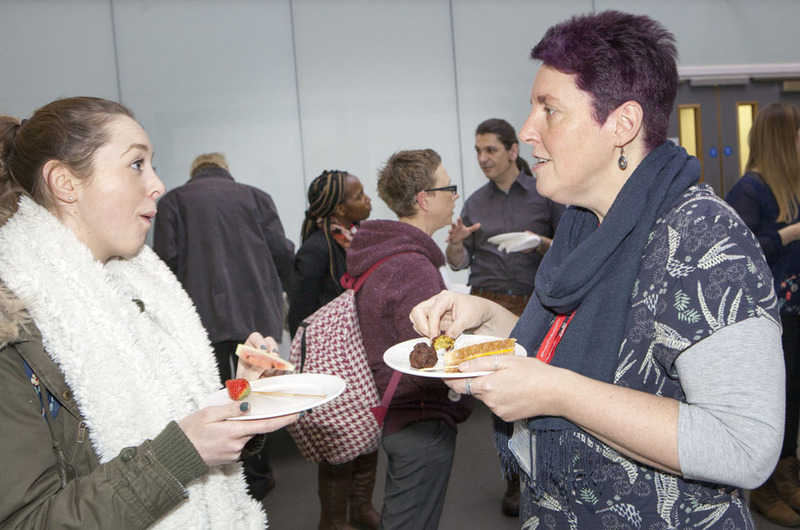 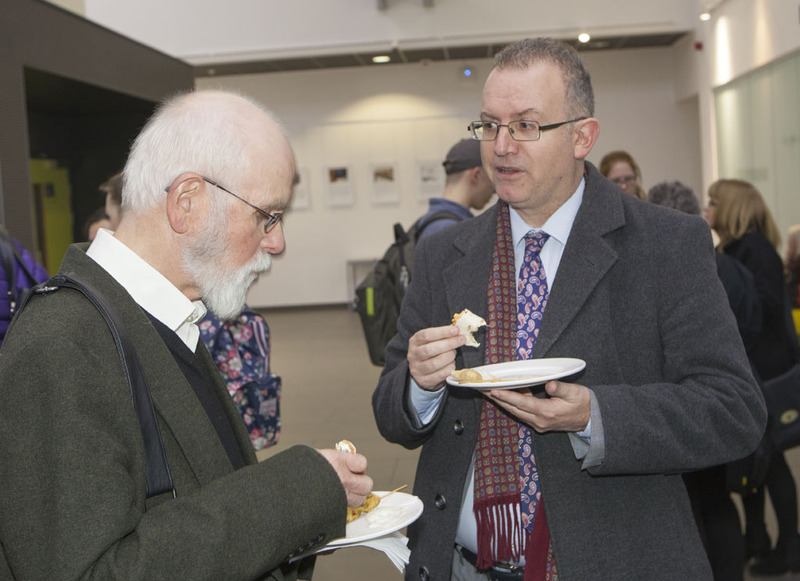 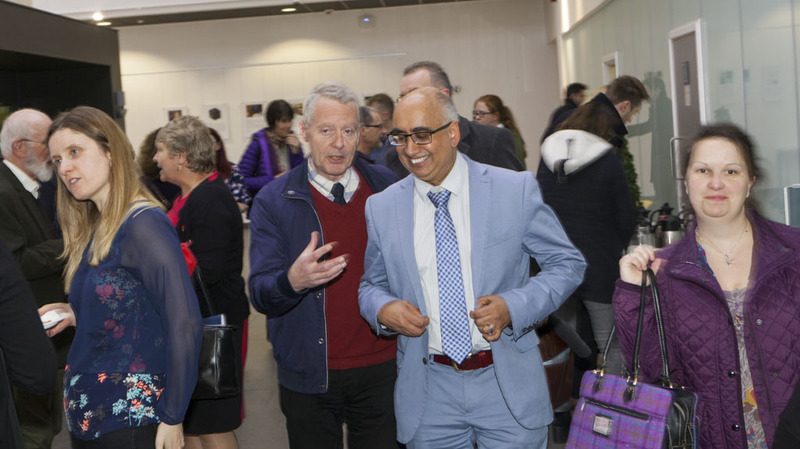 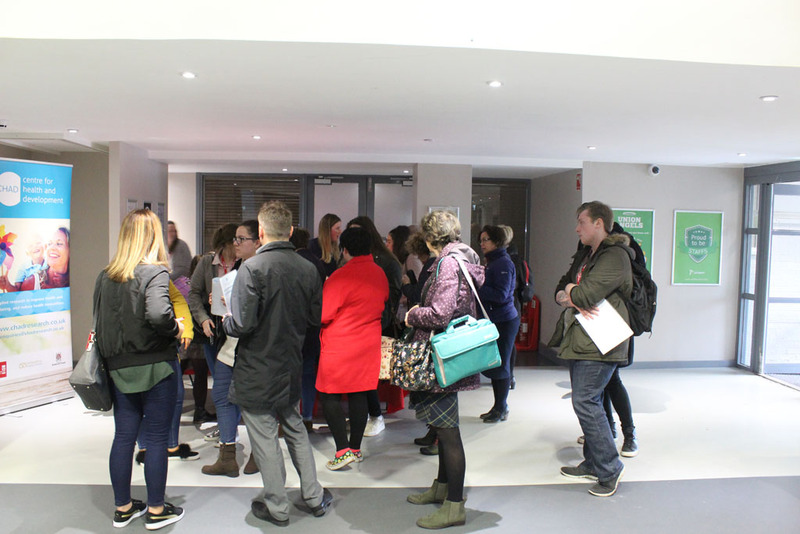 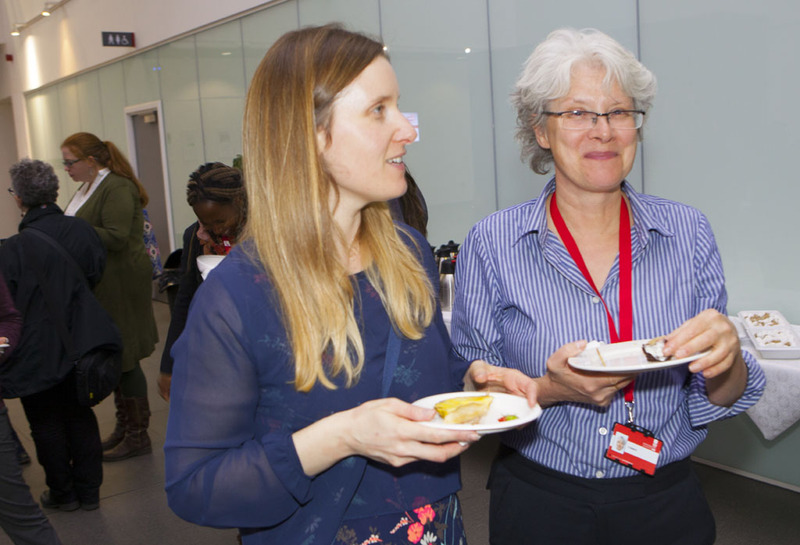 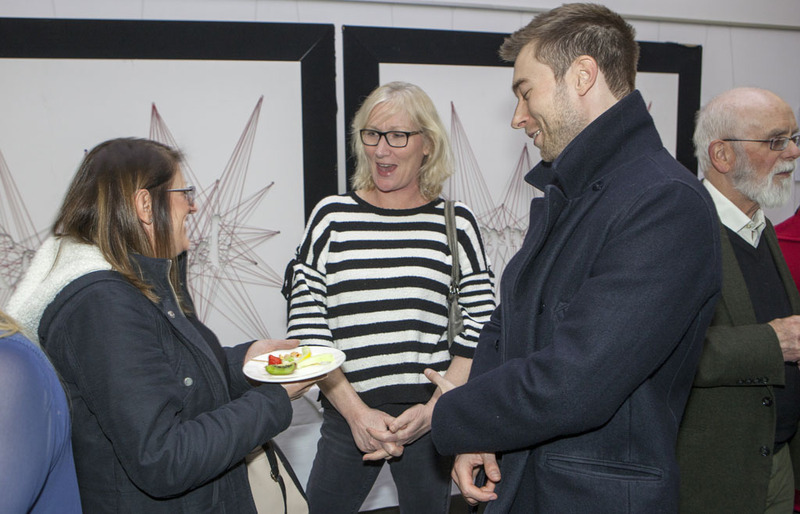 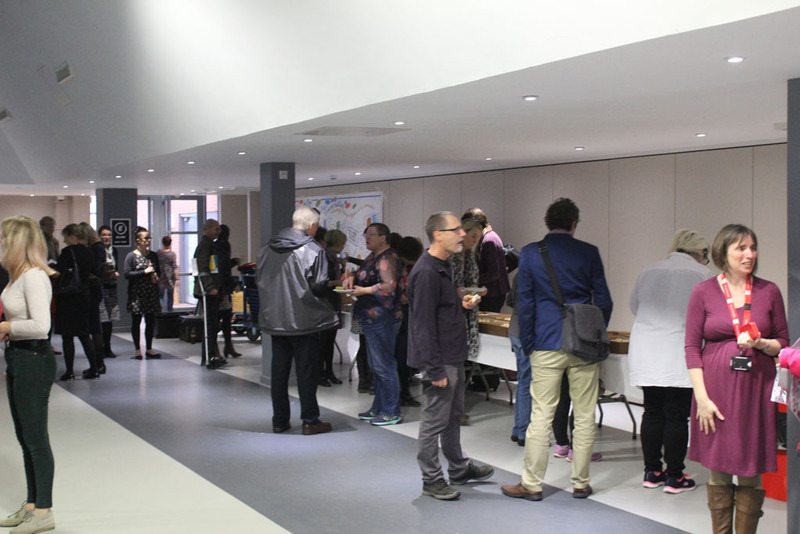 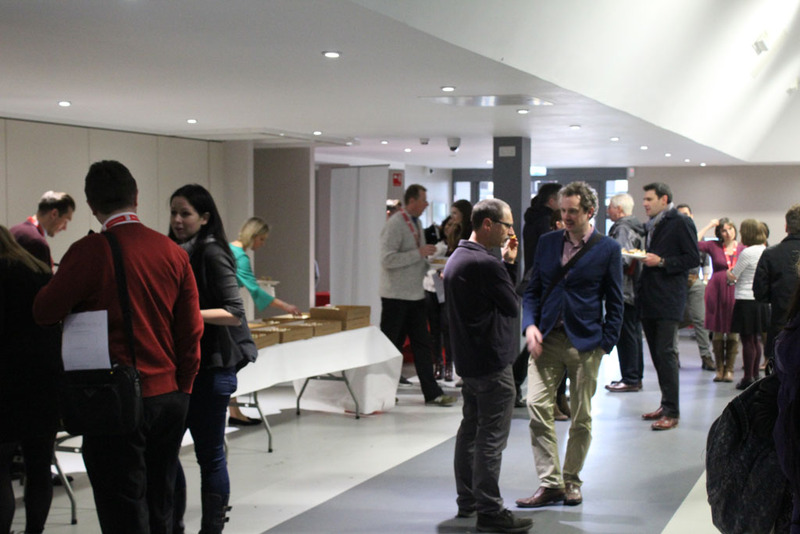 Guests began to arrive and enjoyed light refreshments in the relaxed setting of the Science Centre lobby, before being ushered into the lecture theatre for the main event a guest lecture entitled ‘Health is Wealth’. 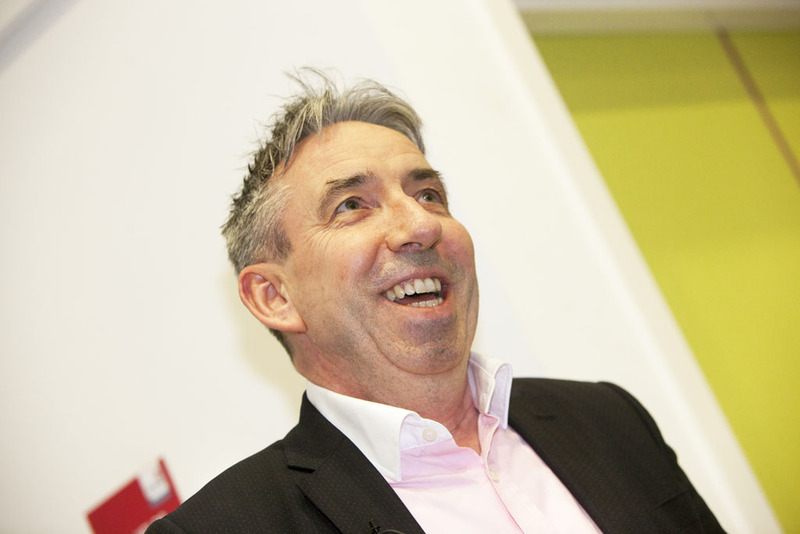 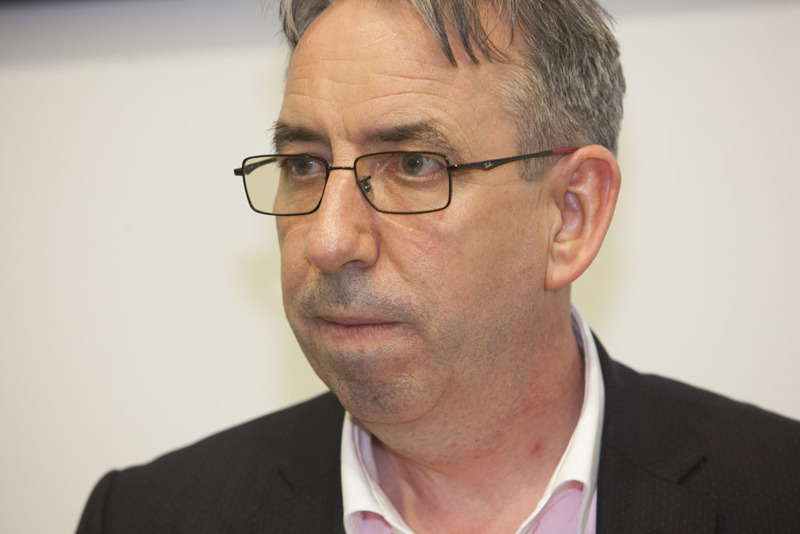 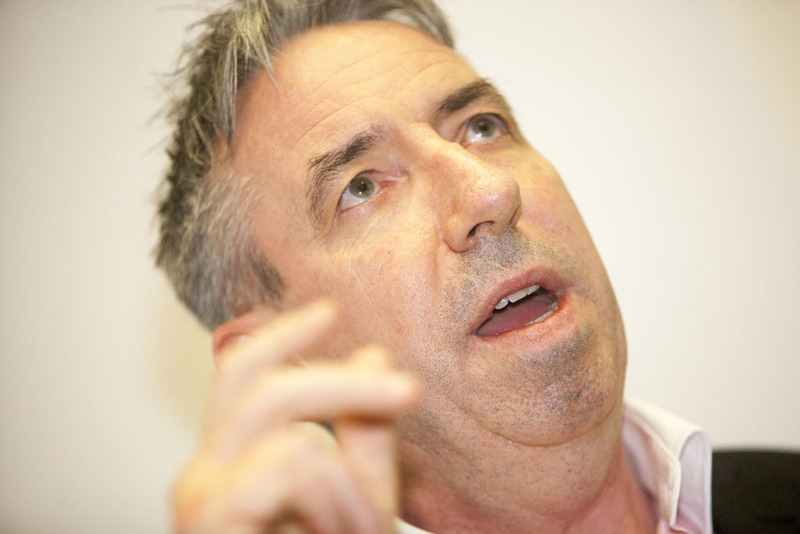 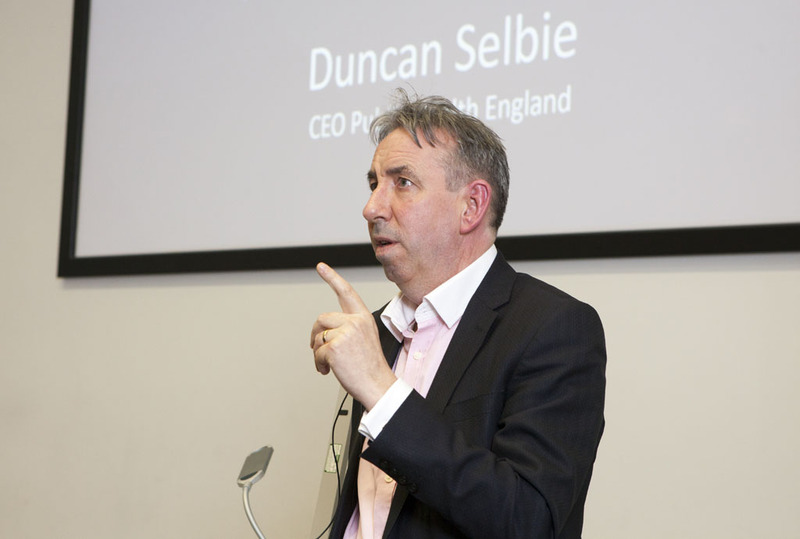 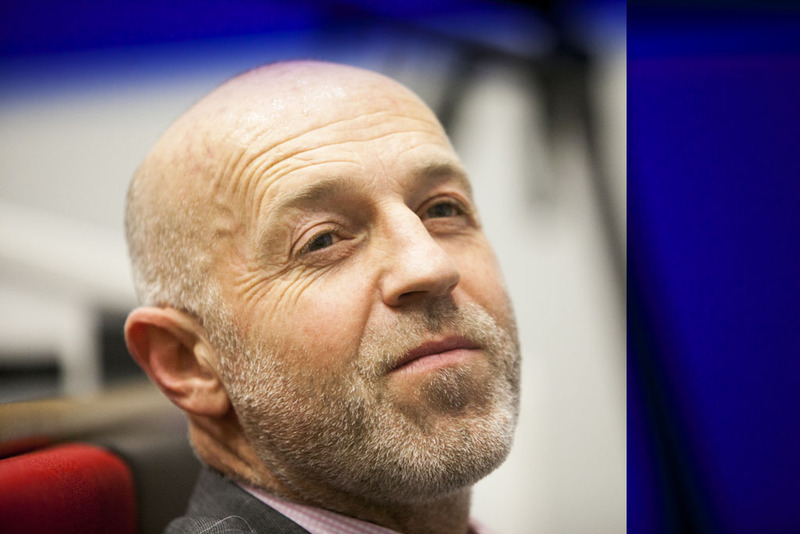 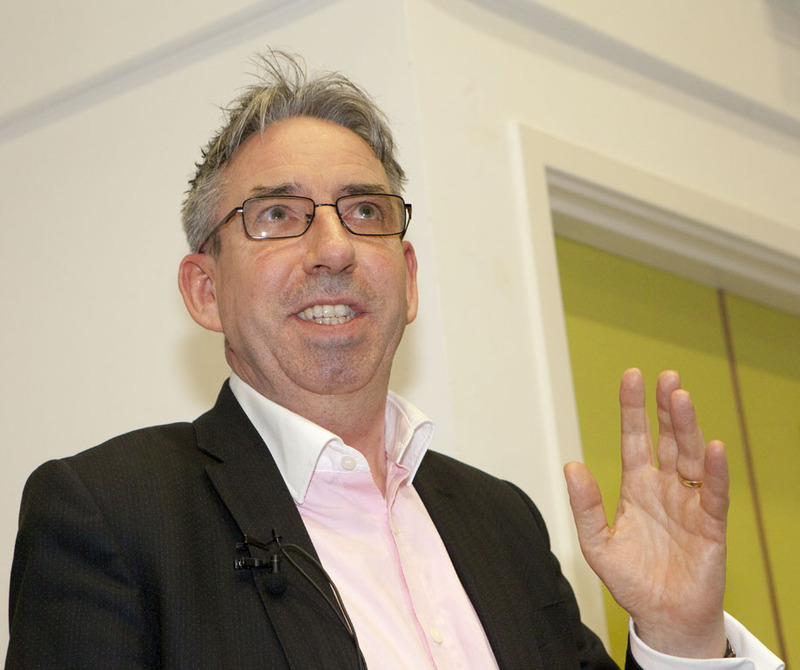 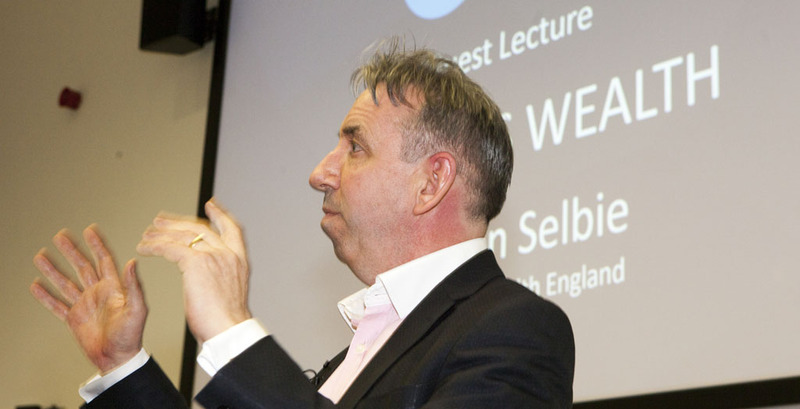 Duncan Selbie has been the CEO since the formation of PHE in 2013. 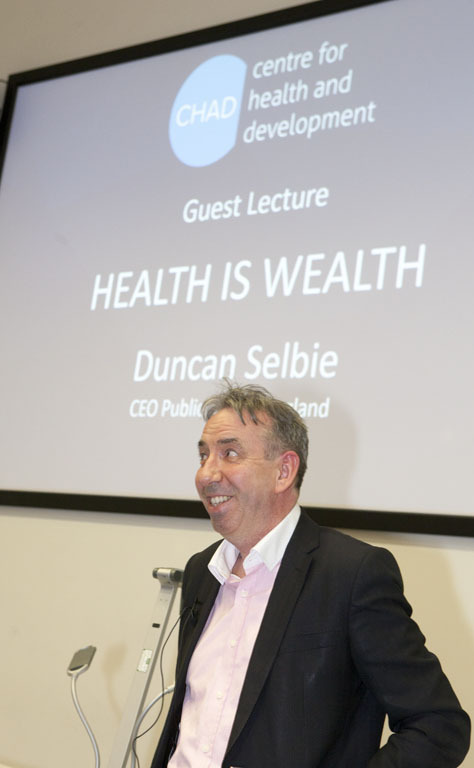 Up until 2012, Duncan Selbie was Chief Executive of Brighton and Sussex University Hospitals, the regional teaching hospital for the south east of England. 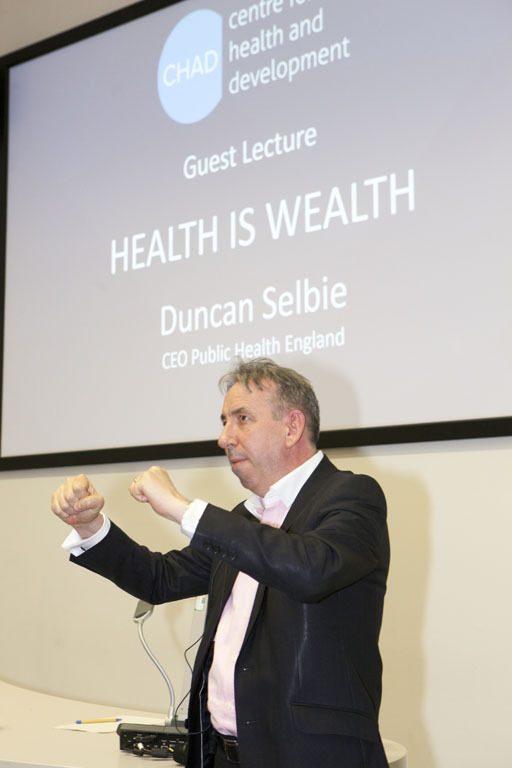 From 2003 to 2007, he was Director General of Programmes and Performance for the NHS and the first Director General of NHS Commissioning. 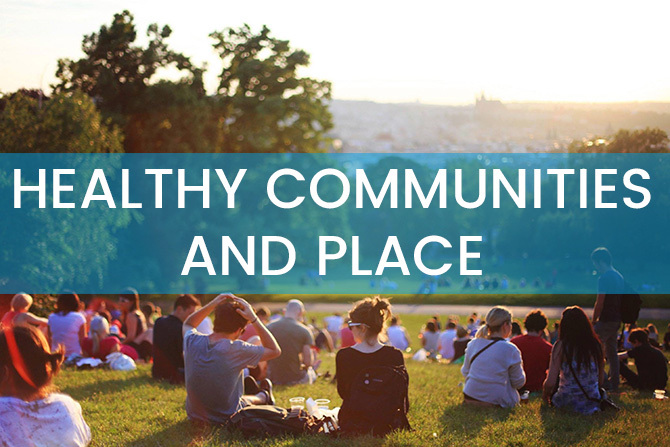 (source: GOV.UK). 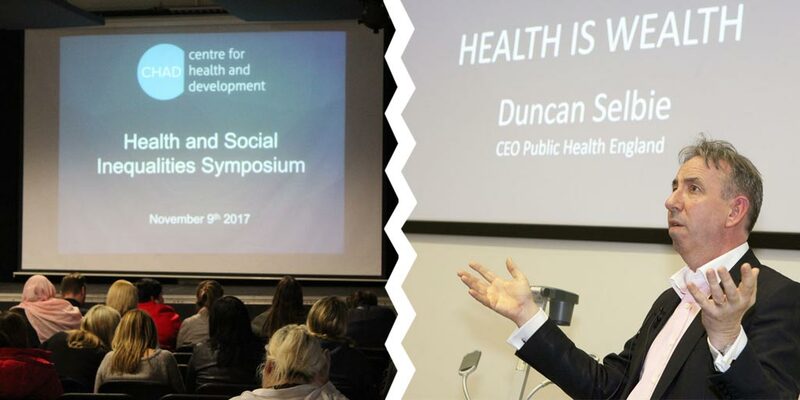 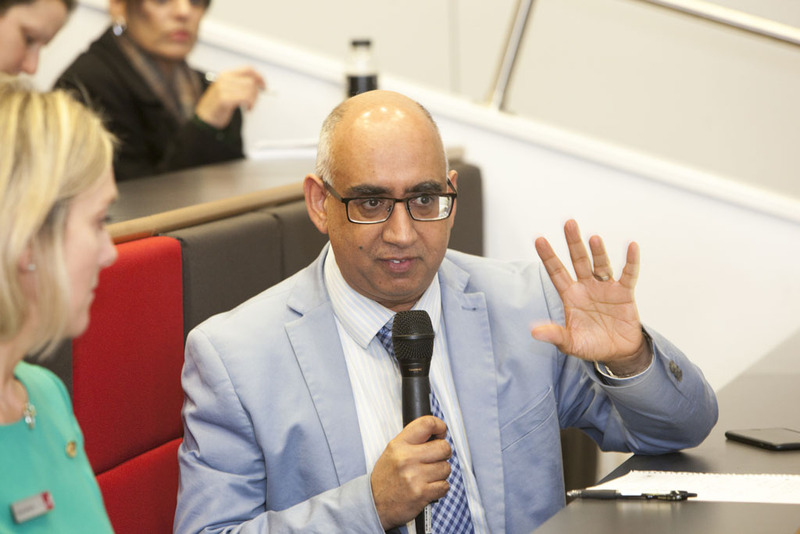 His lecture provided a unique insight into public health thinking at the highest level nationally and it was followed by a lively question and answer session. 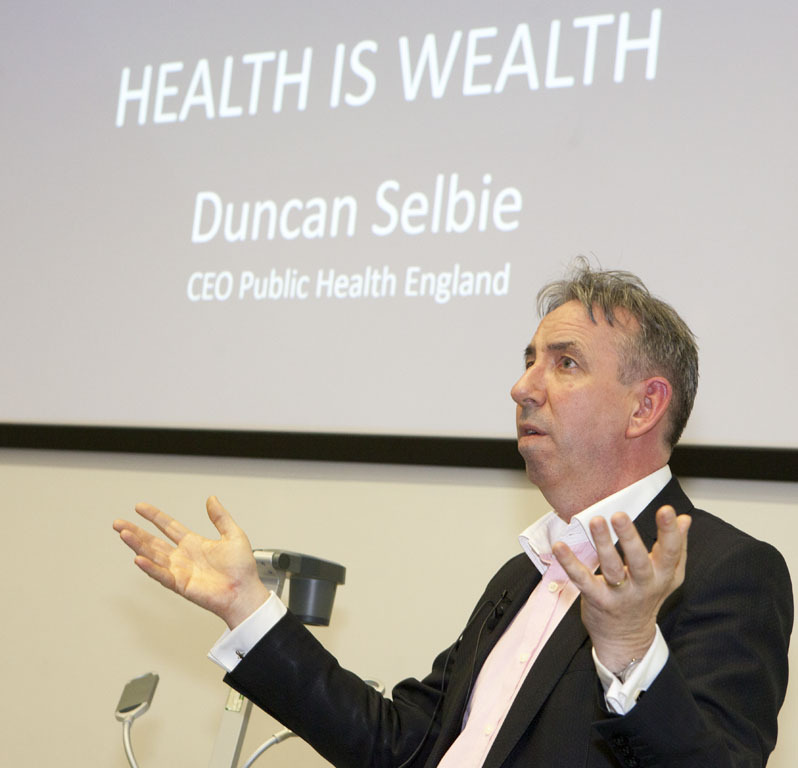 He spoke of four ongoing public health priorities childhood obesity, air quality, health at work and cardiovascular disease, he also gave some startling statistics, Cardiovascular Disease accounts for 1 in 3 avoidable deaths and 1 in 4 UK hospital beds are occupied by smokers. 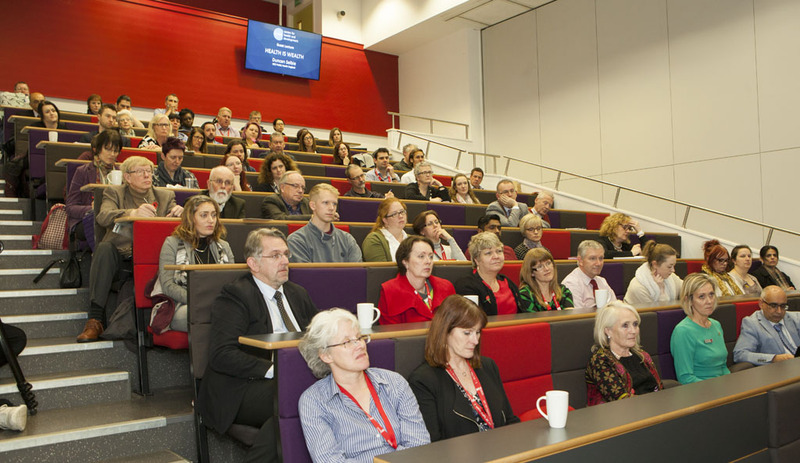 The lecture was well attended by representatives from the local authorities, organisations, staff and students from the University. 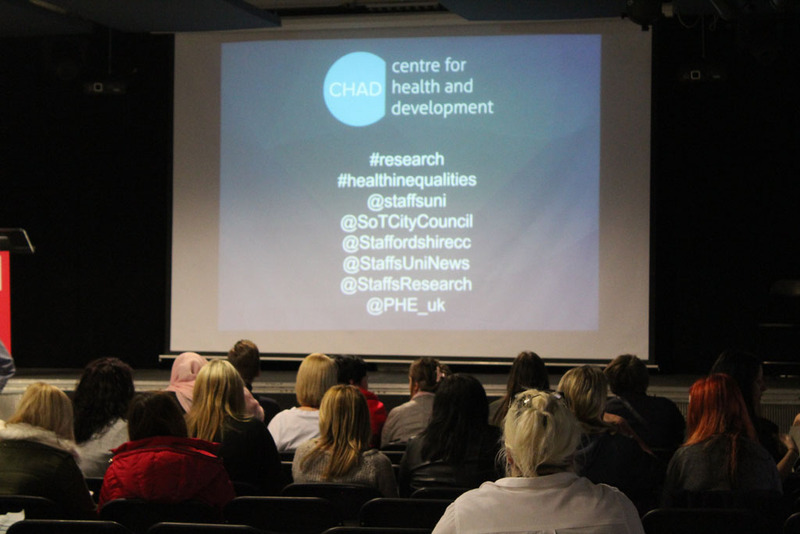 Here are some images from the lecture.